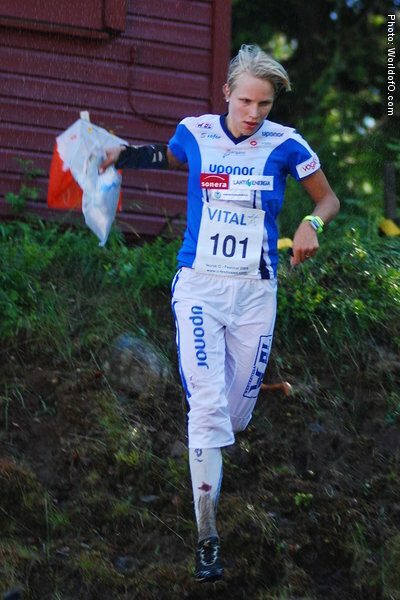 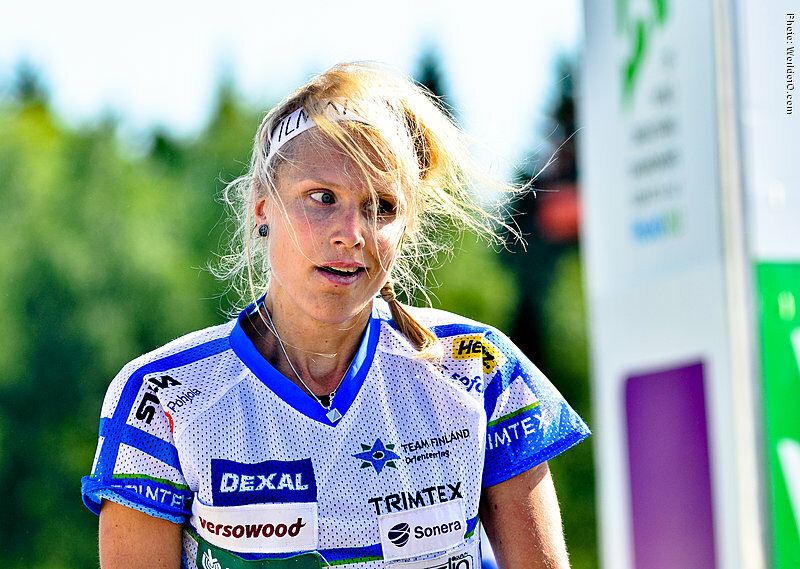 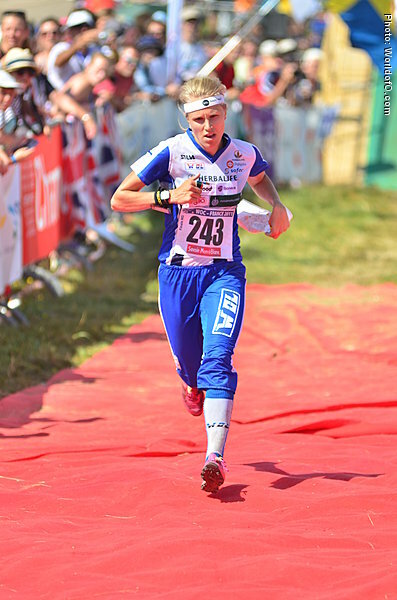 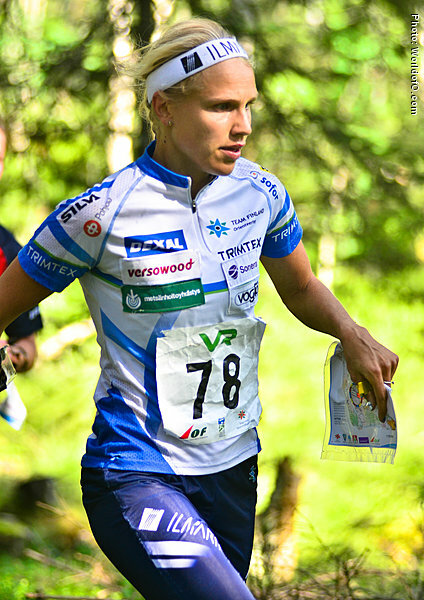 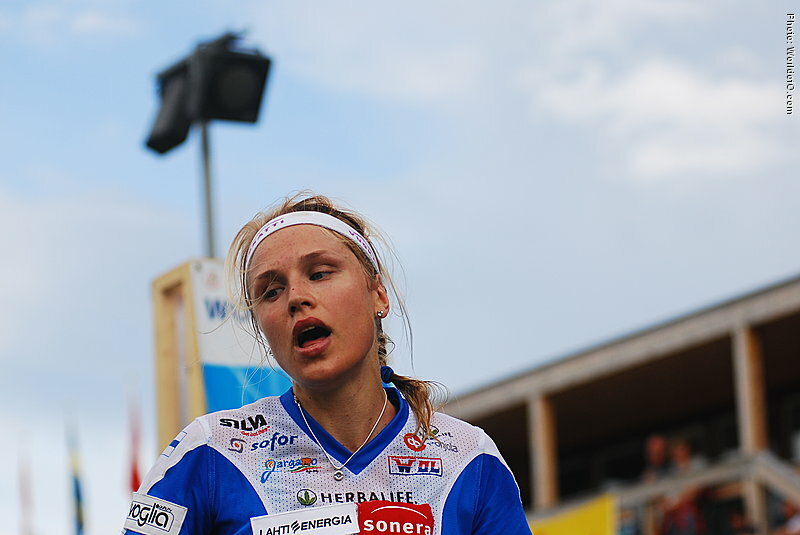 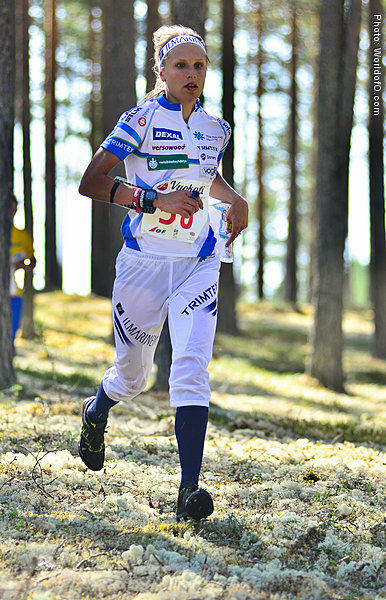 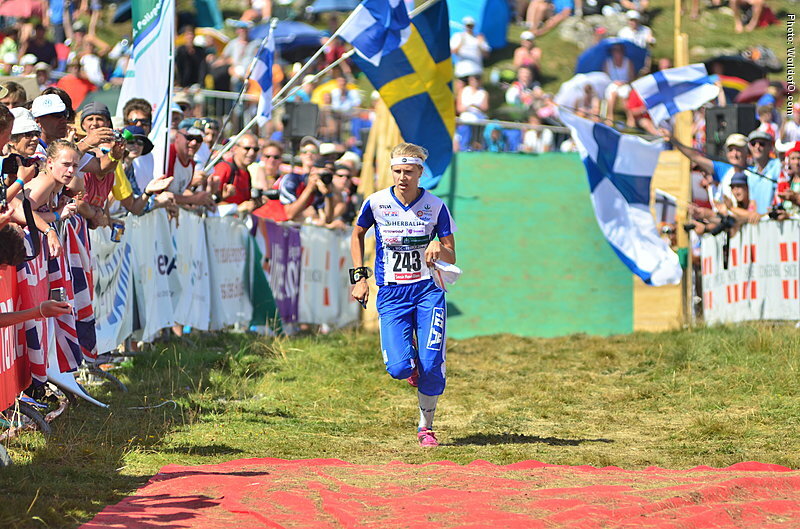 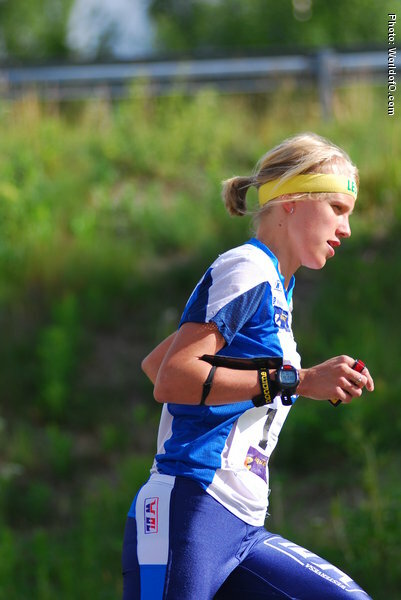 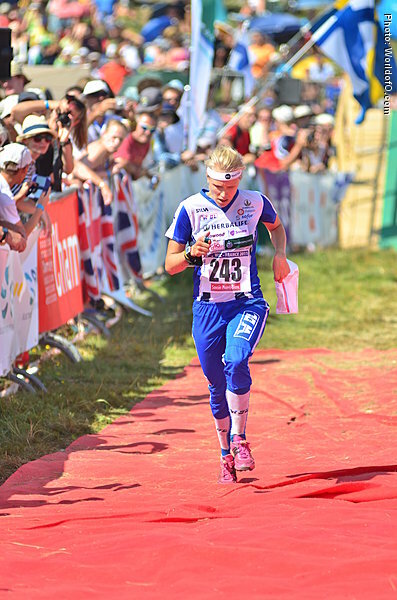 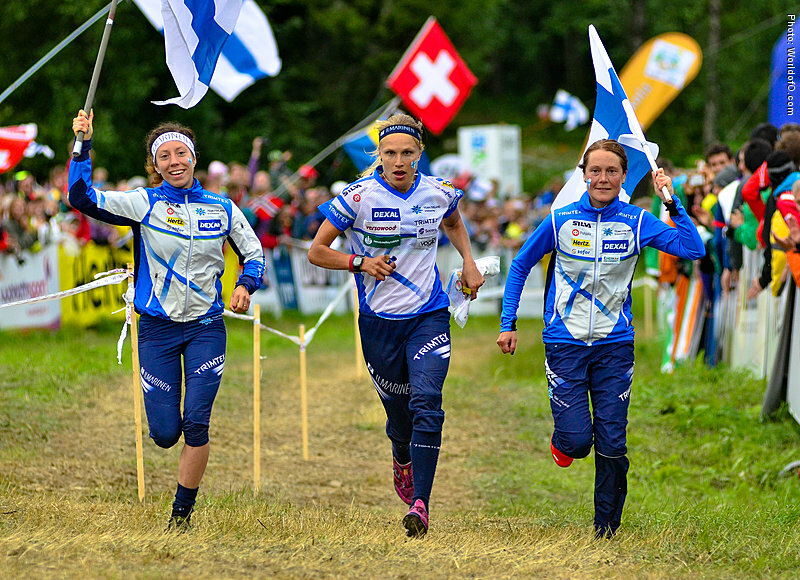 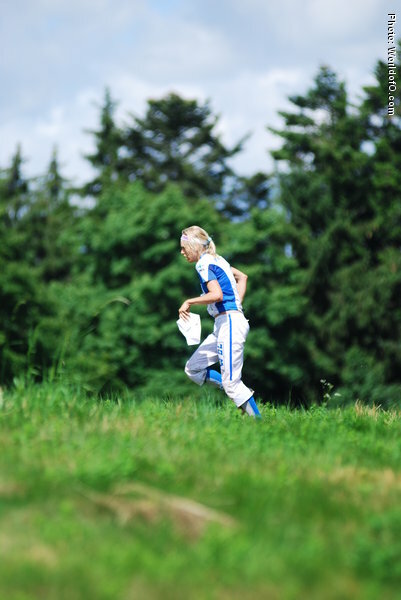 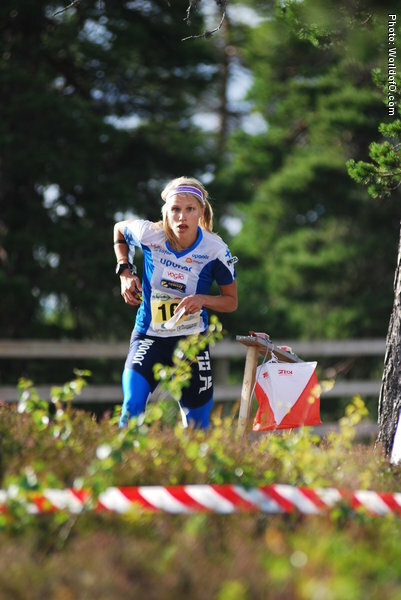 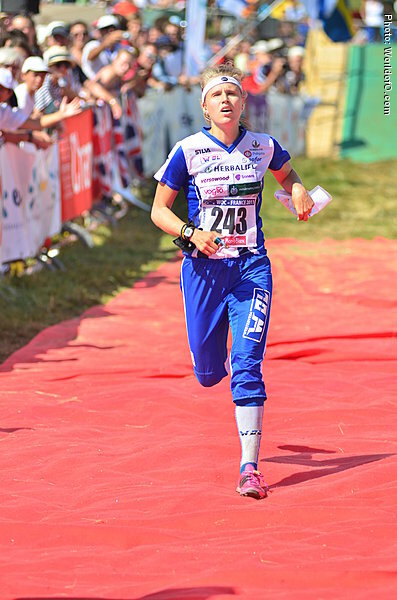 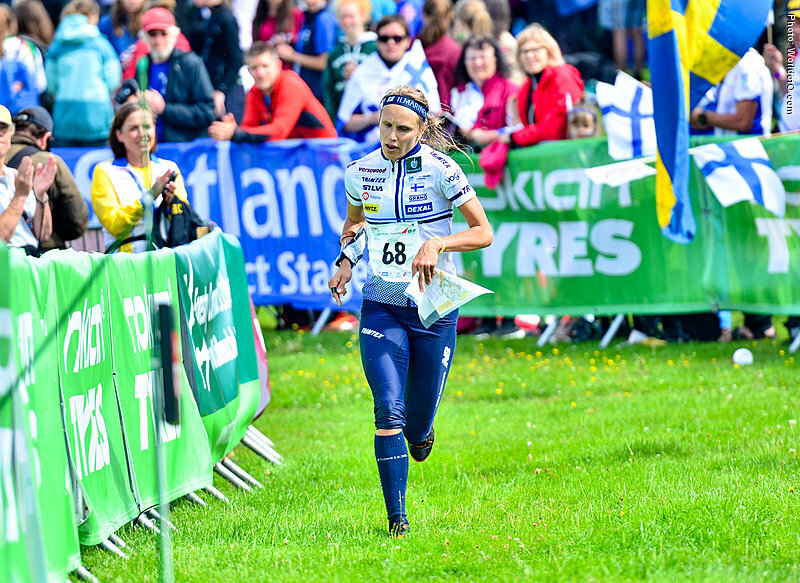 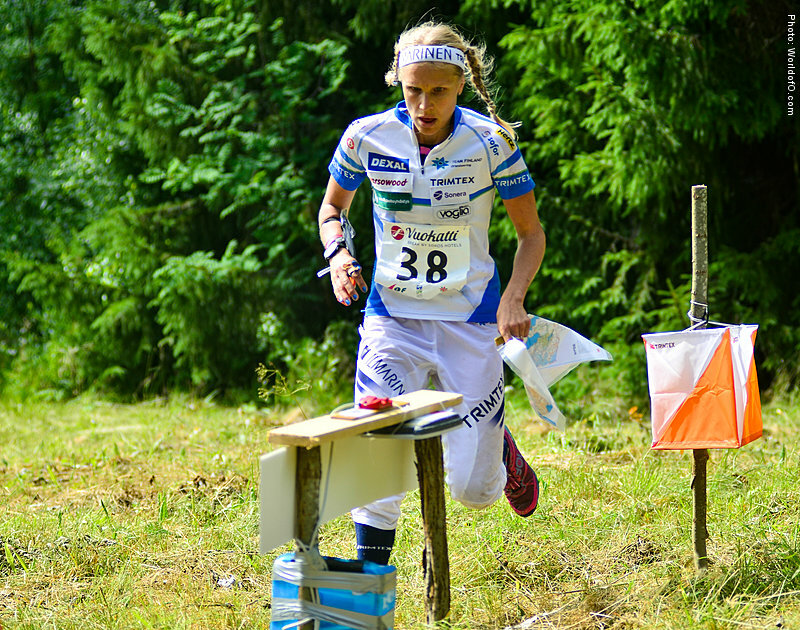 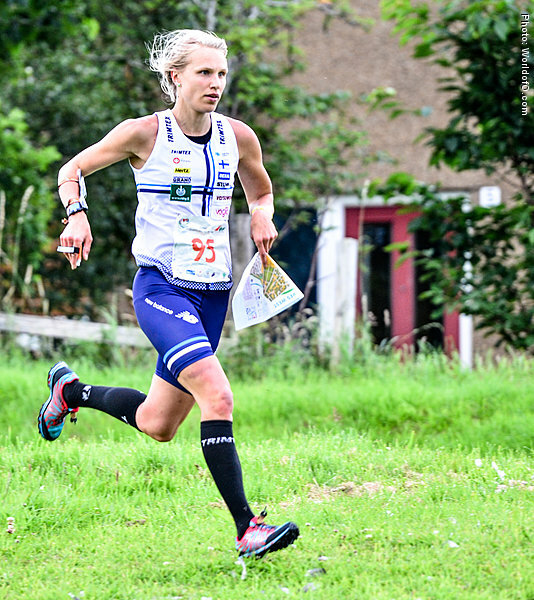 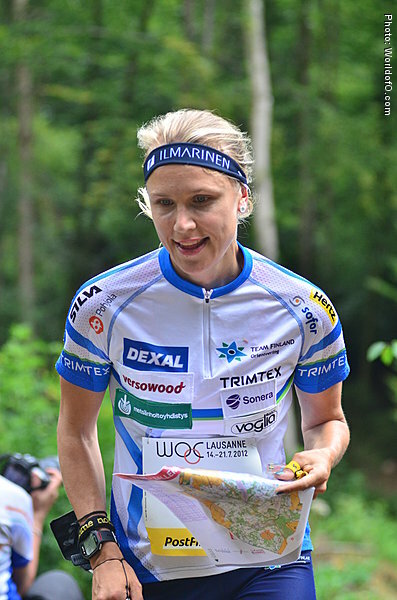 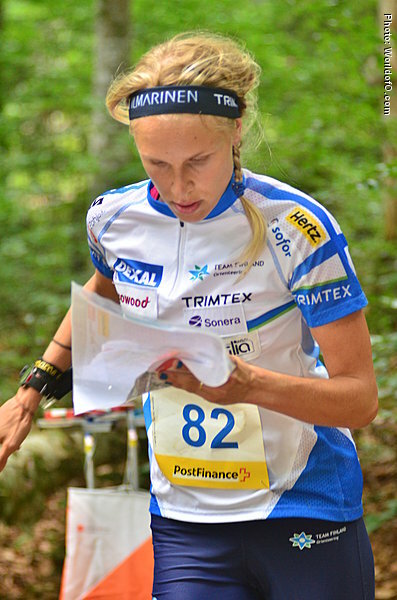 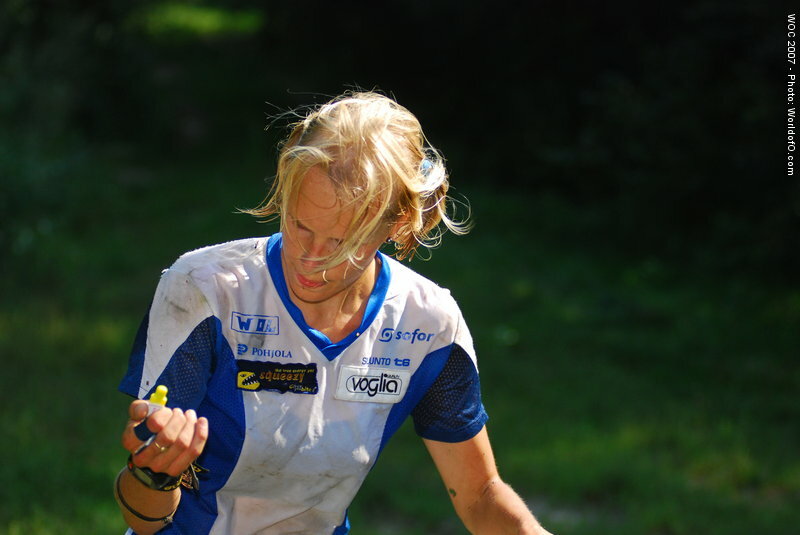 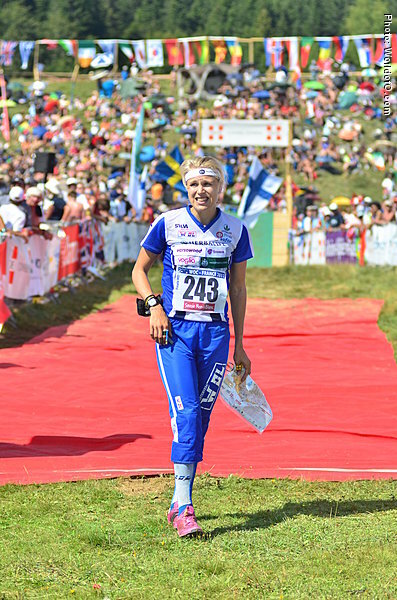 Former junior-star who is now one of the big queens of orienteering. 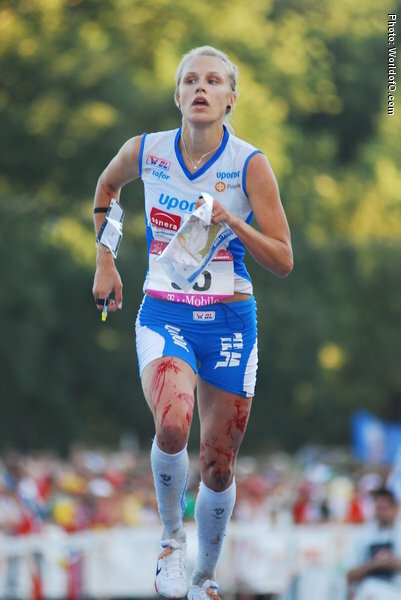 Has struggled a lot with injuries, but has an incredible way of getting in shape just in time for the big happenings. 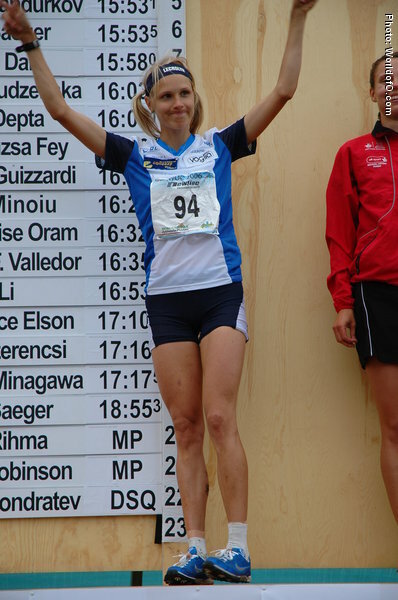 Has WOC gold medals each year from 2006 until 2012 except for 2009 in Hungary where she had to travel home with only bronze medal in long. 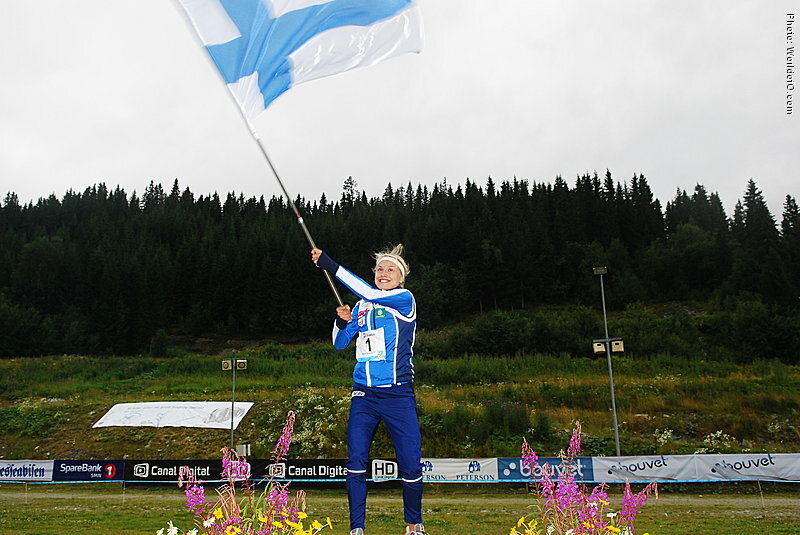 Was supposed to be the big star at WOC on home ground in 2013 in Finland, but finished the championships in big disappointment after only a silver medal in the relay. 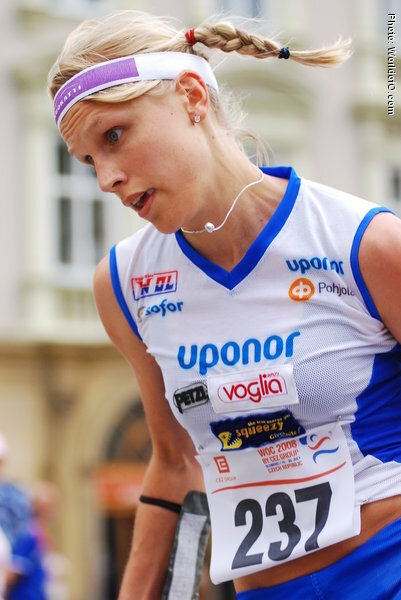 Health problems in 2014, but back on track in 2015. 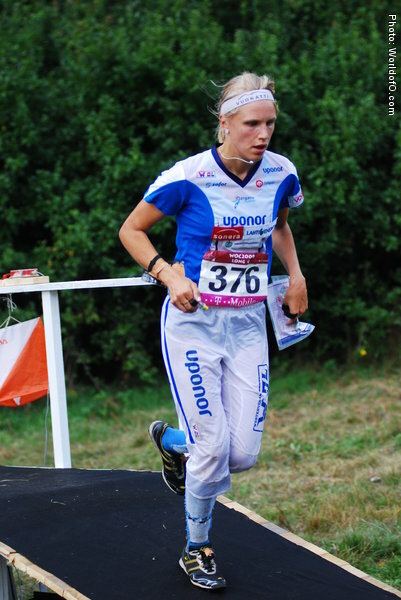 A fast runner, who has constantly improved stability in her performances. 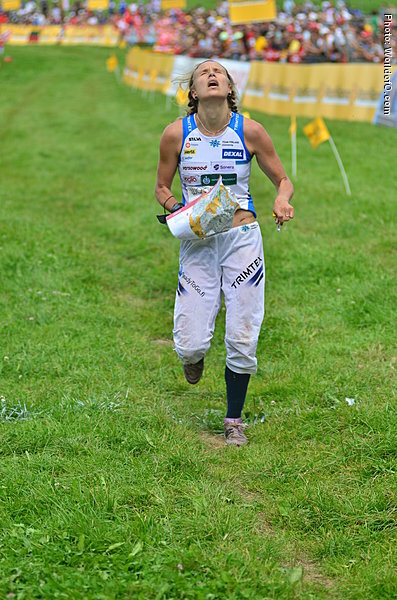 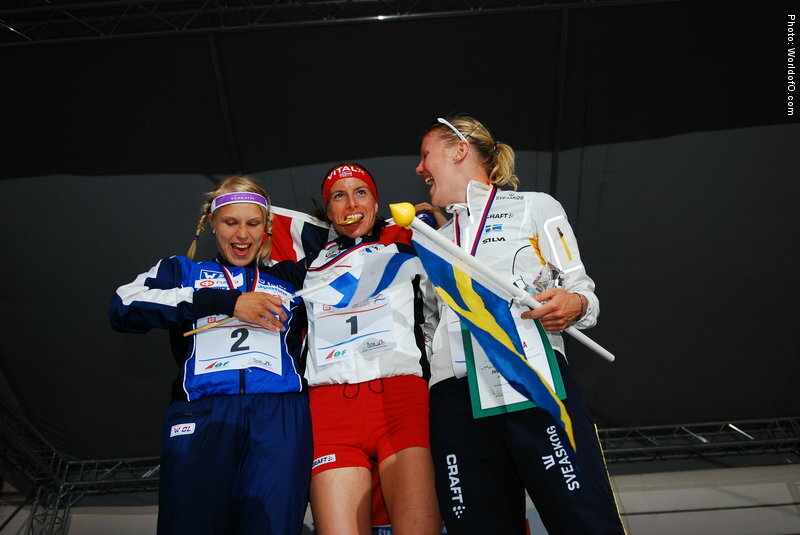 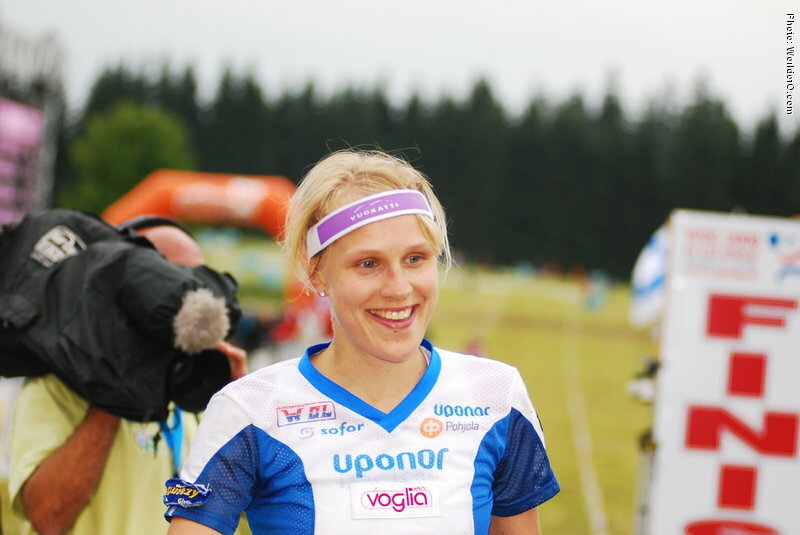 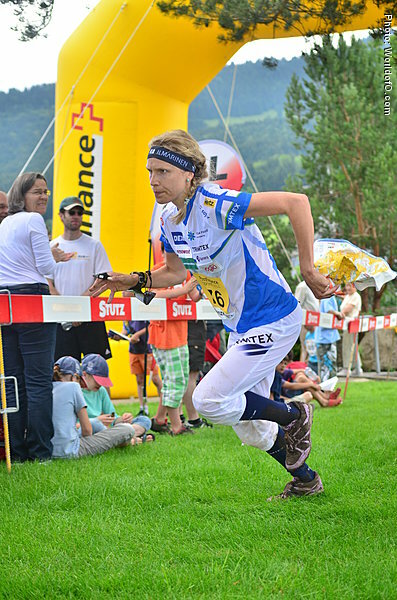 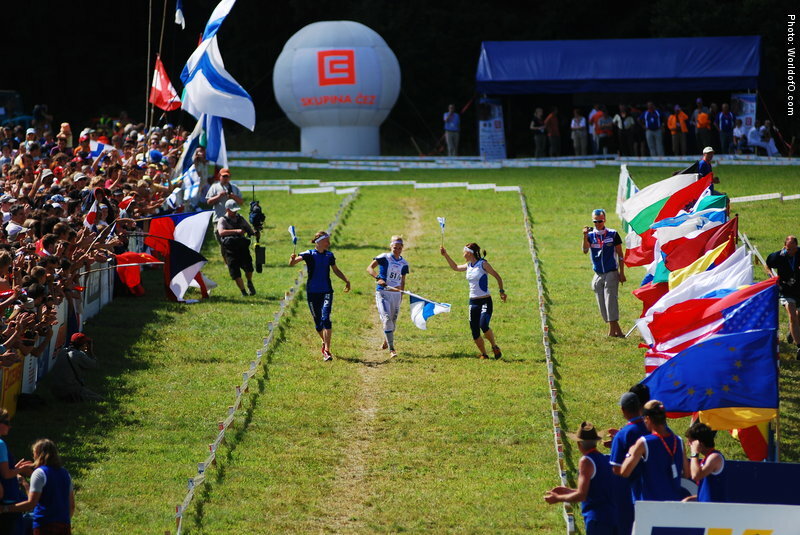 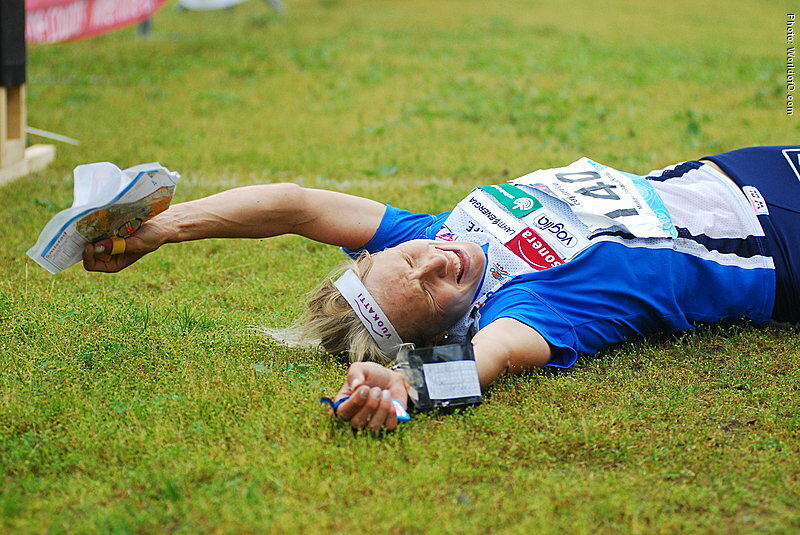 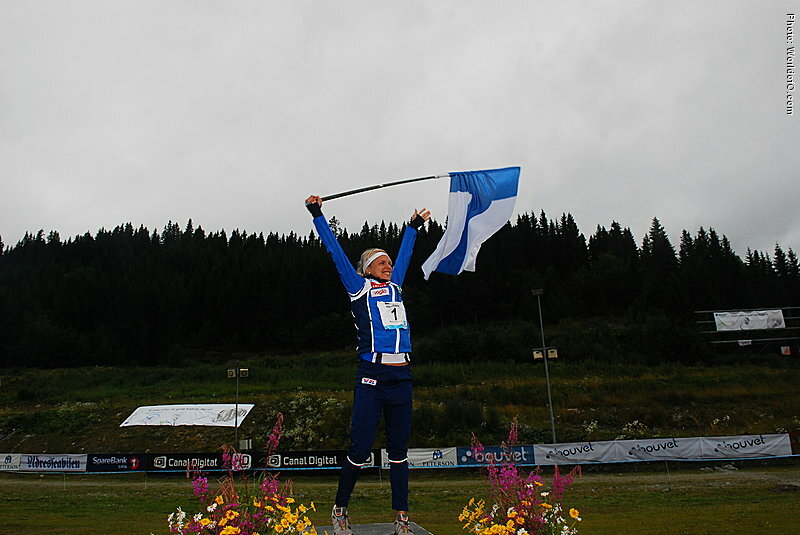 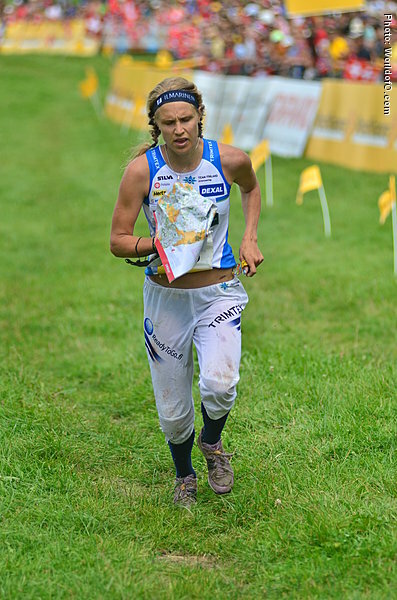 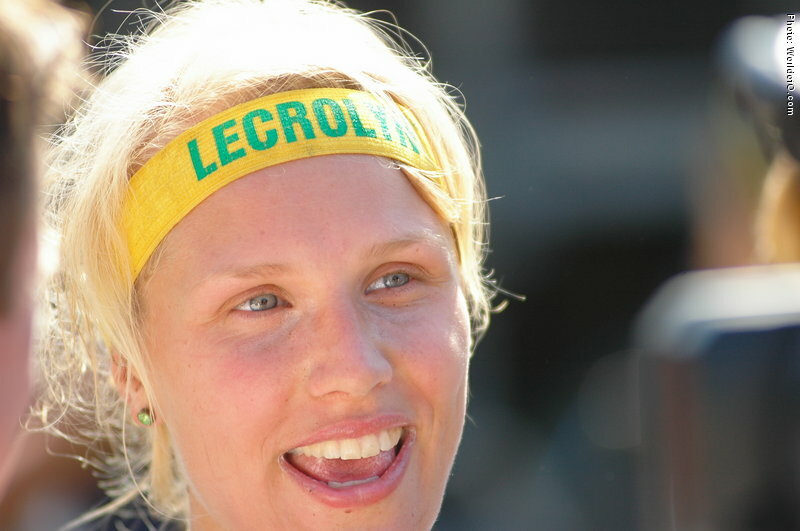 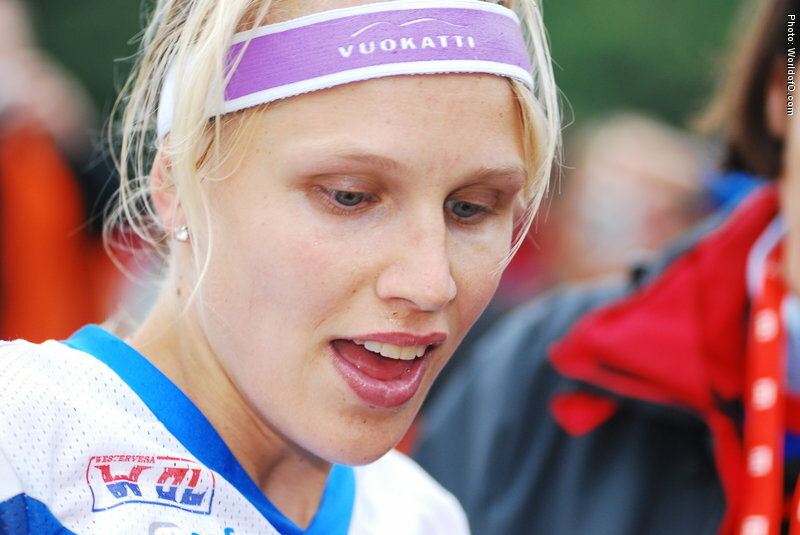 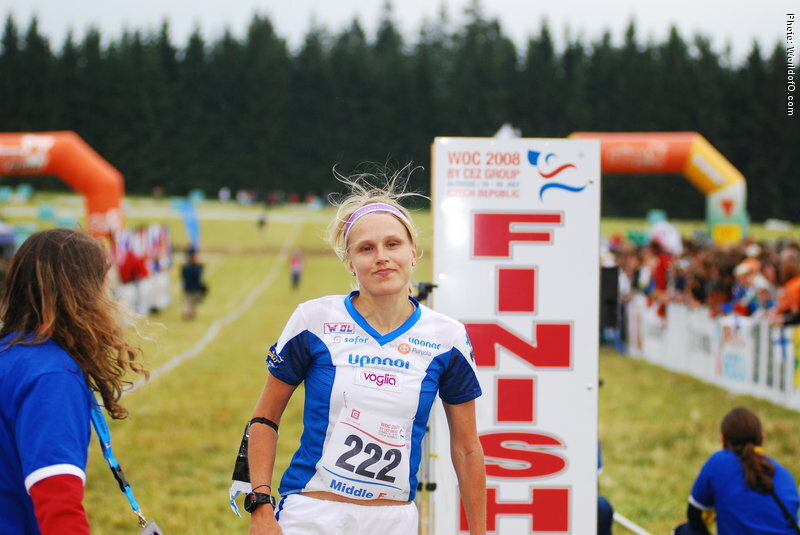 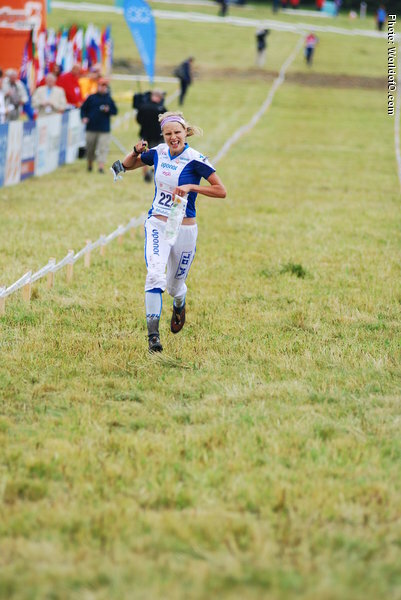 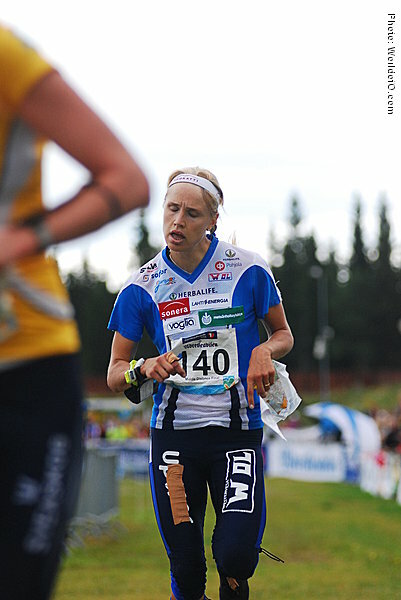 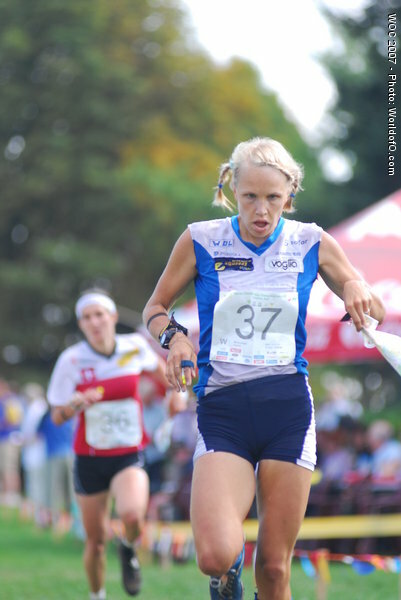 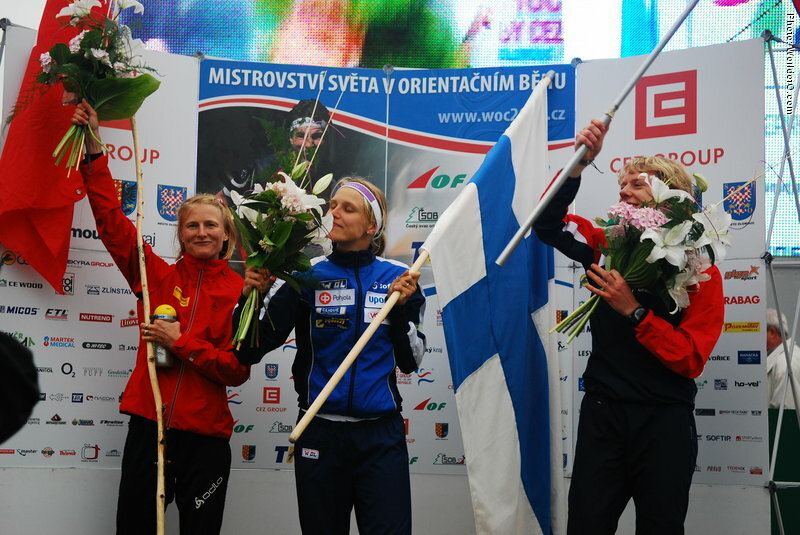 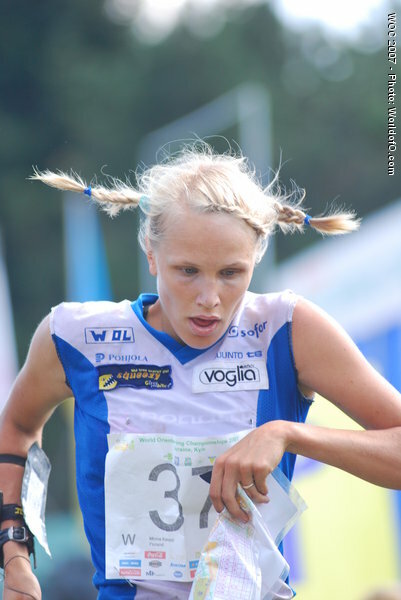 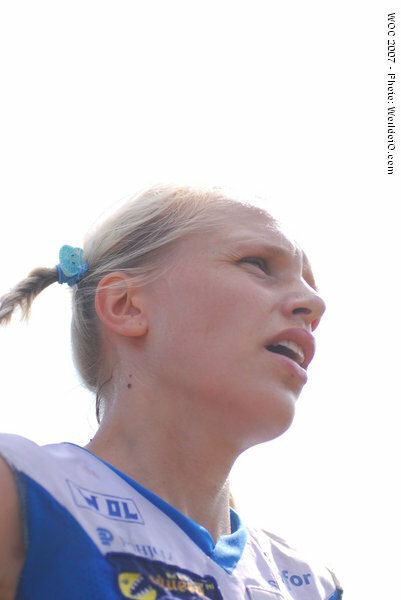 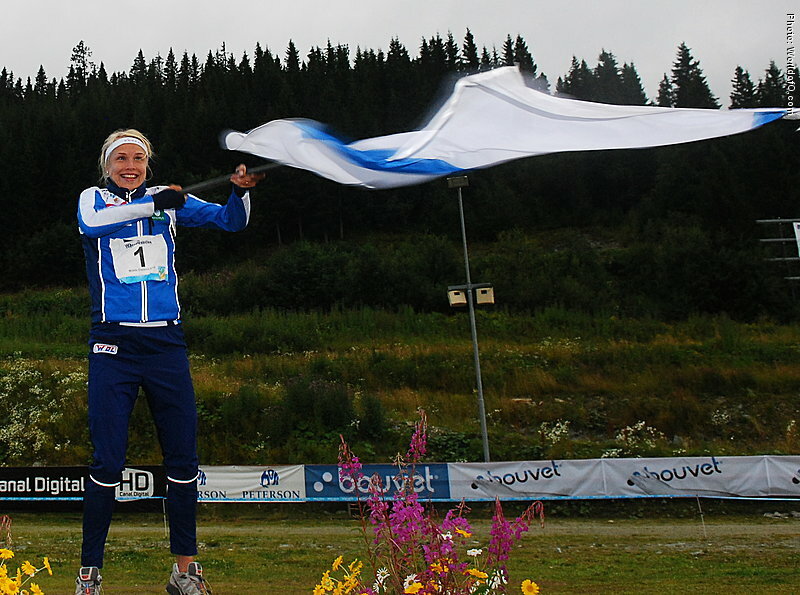 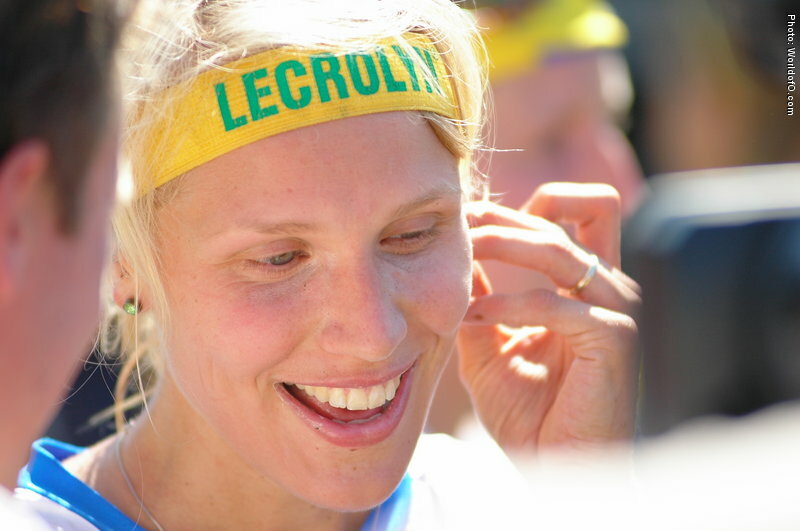 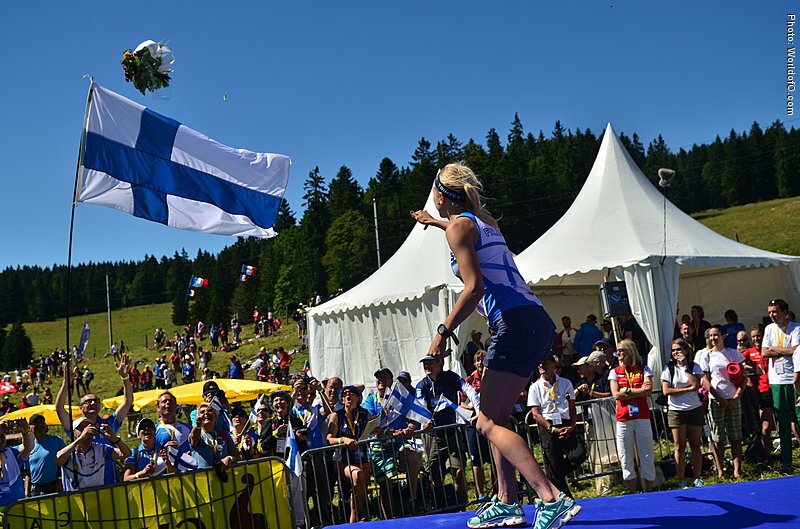 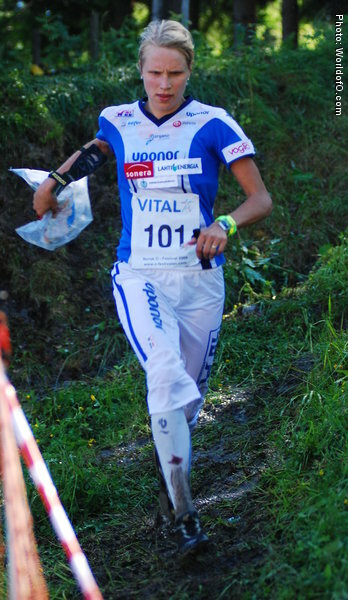 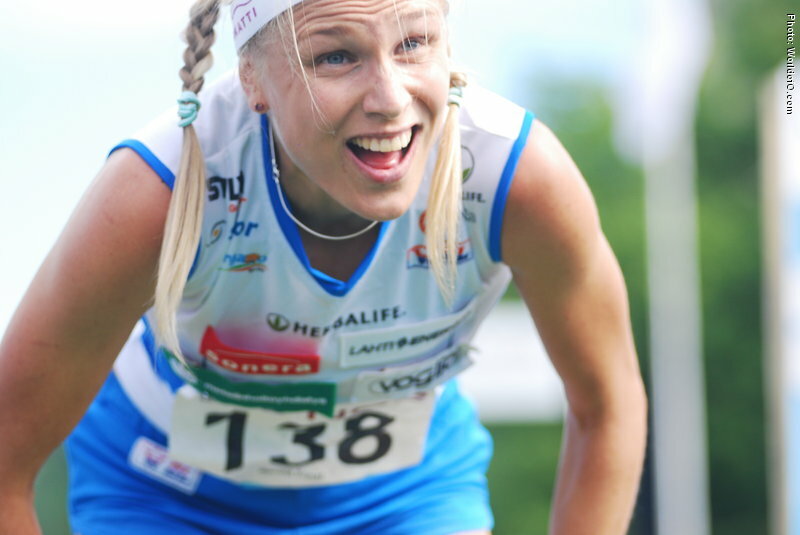 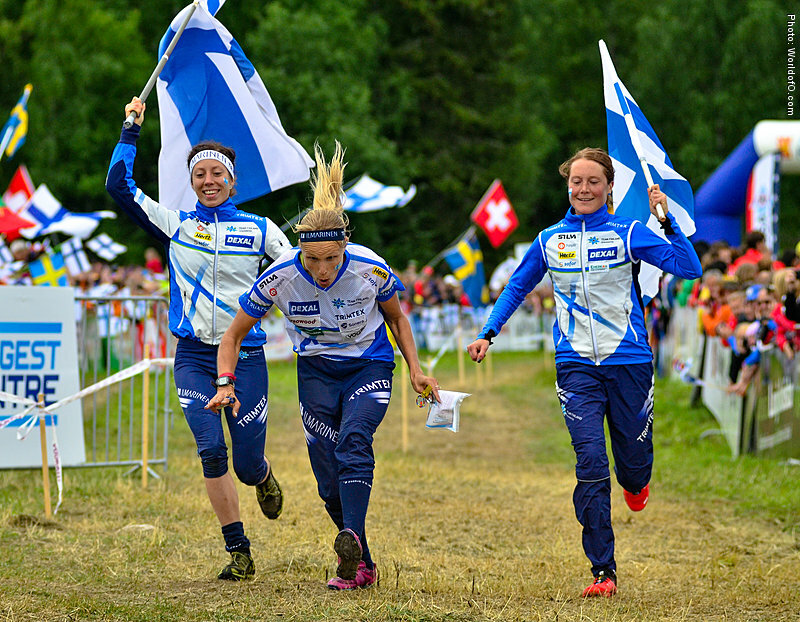 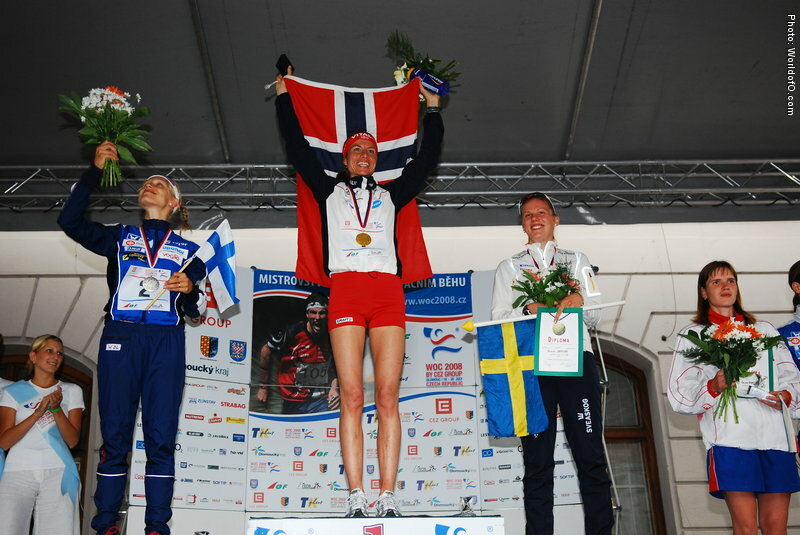 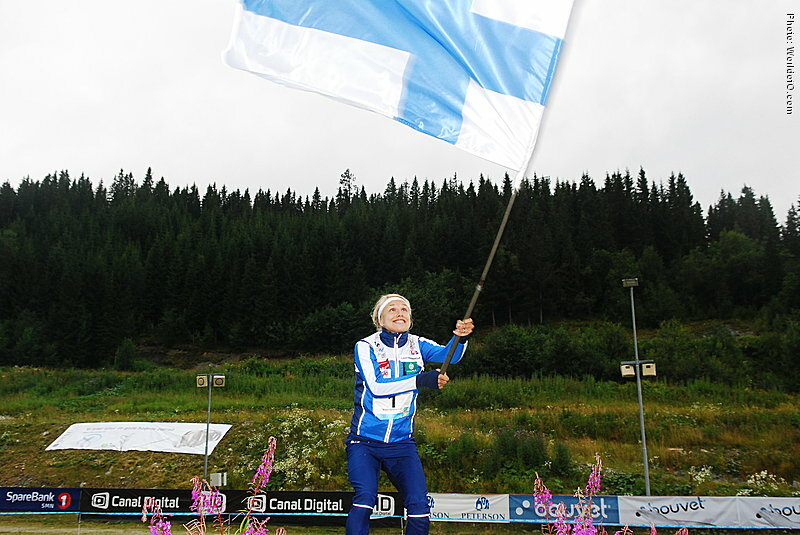 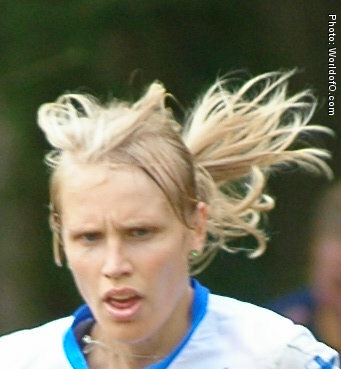 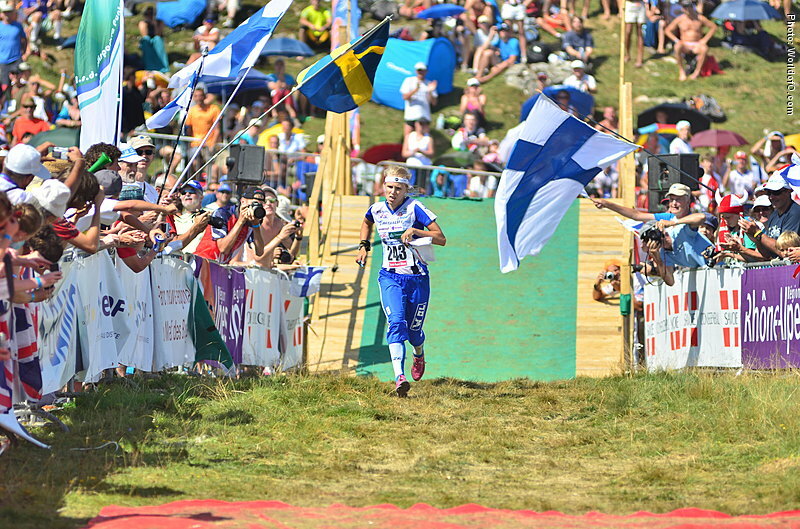 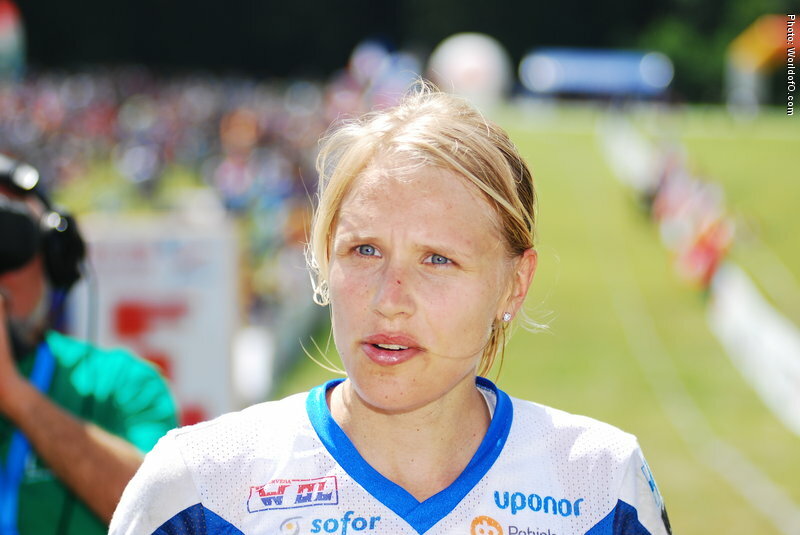 Took her first major title winning EOC 2006- and then steered Finland to the relay gold in WOC 2006. 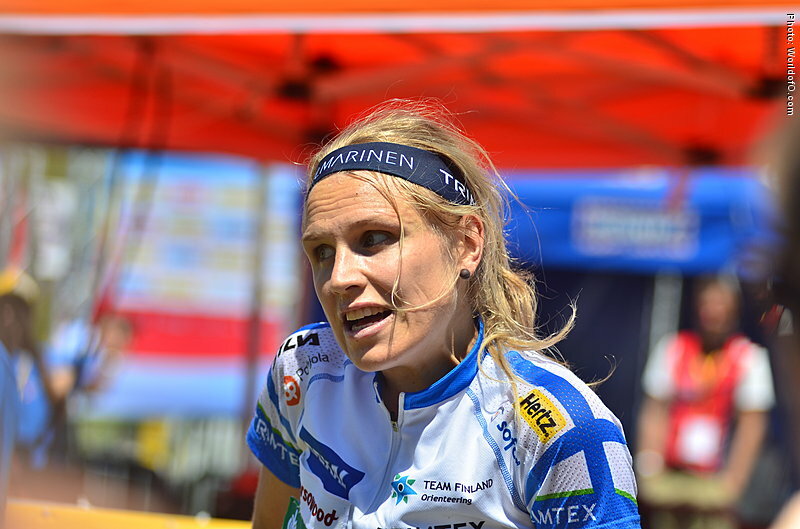 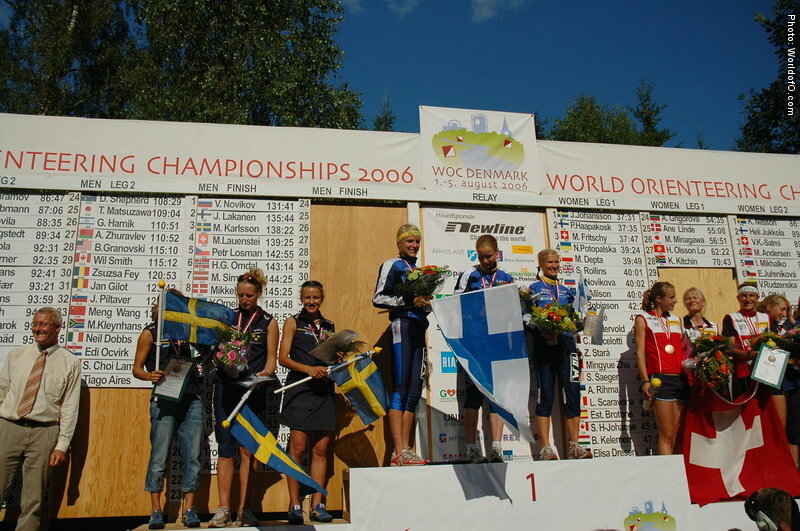 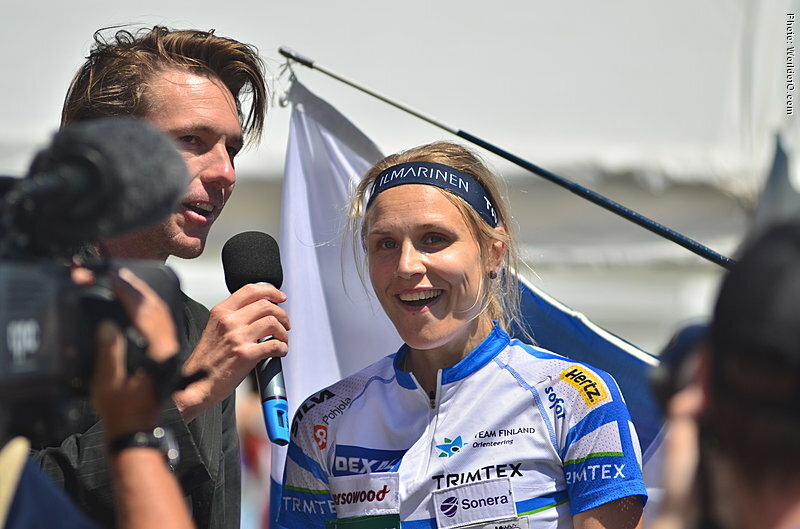 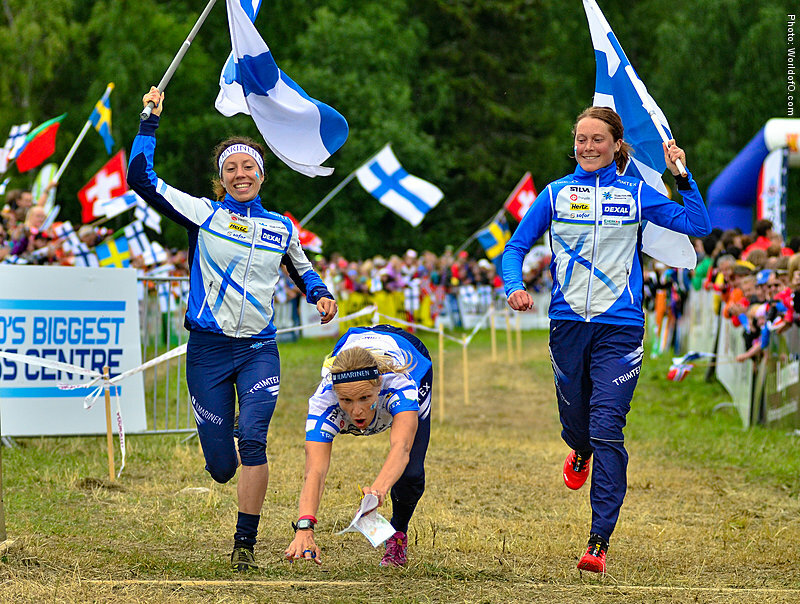 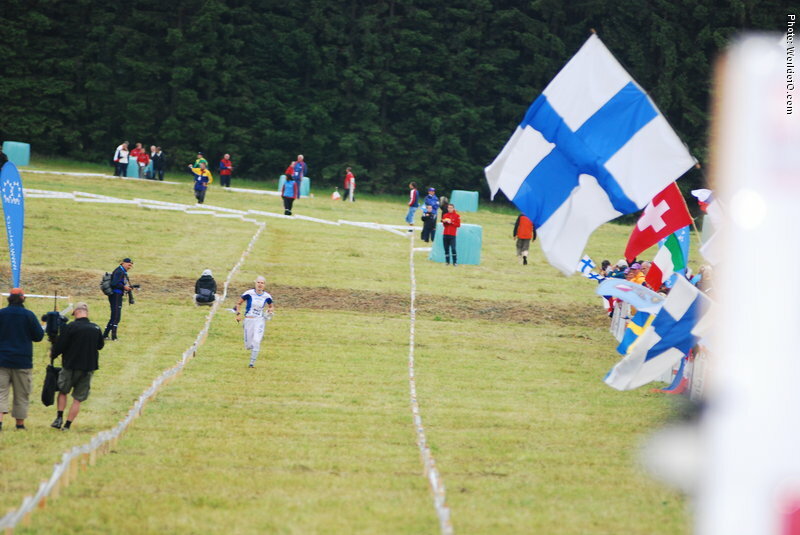 Individually her best races were first on the middle distance, but Kauppi came second to Simone Niggli on the WC-long distance in Sweden 2007- a race Minna should have won if she had chosen the right lane to the finish. 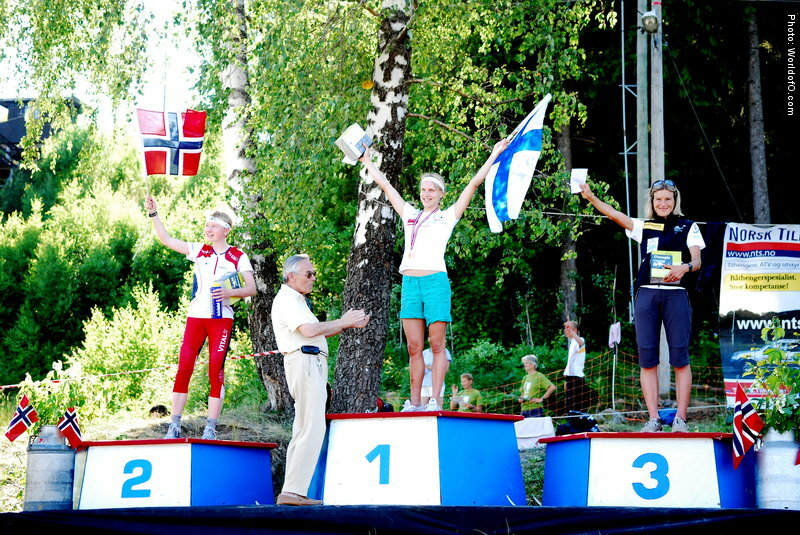 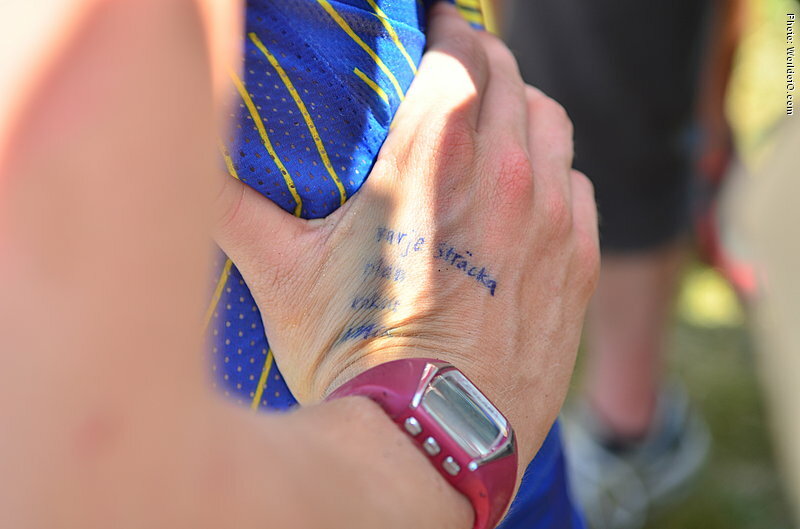 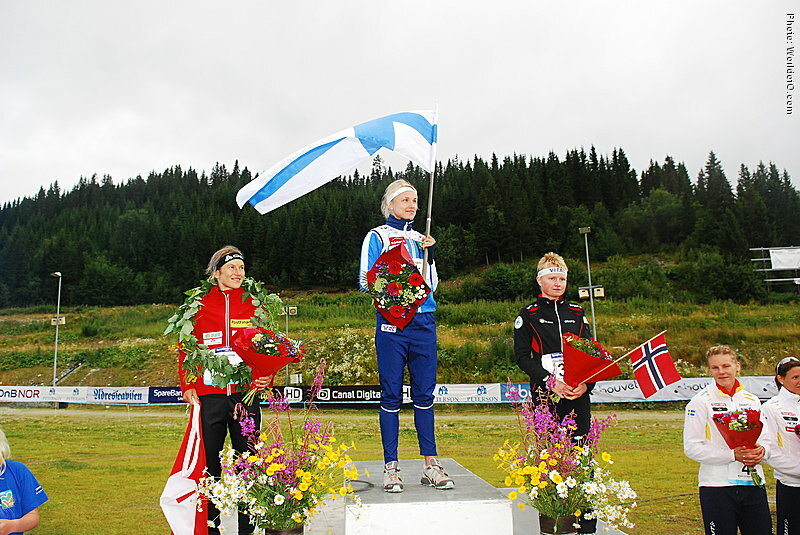 Brought her club Asikkalan Raikas to a victory in the 2007 Venla-relay. 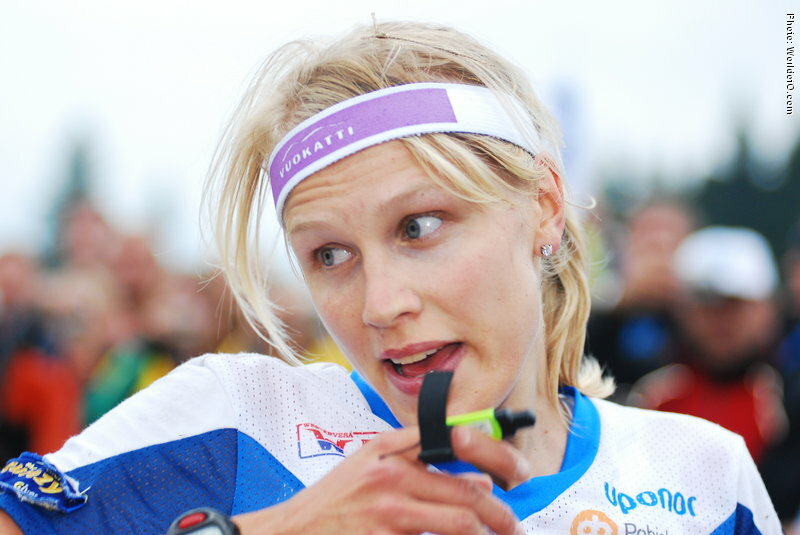 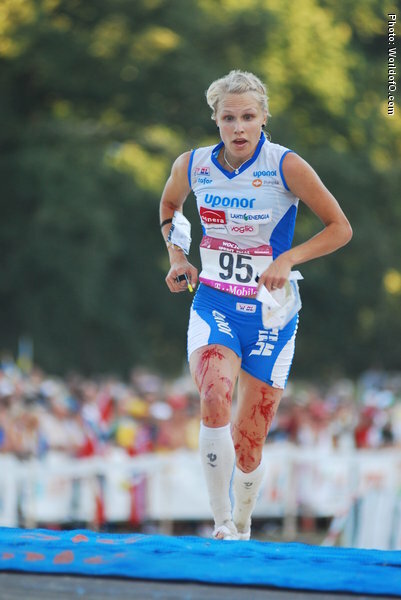 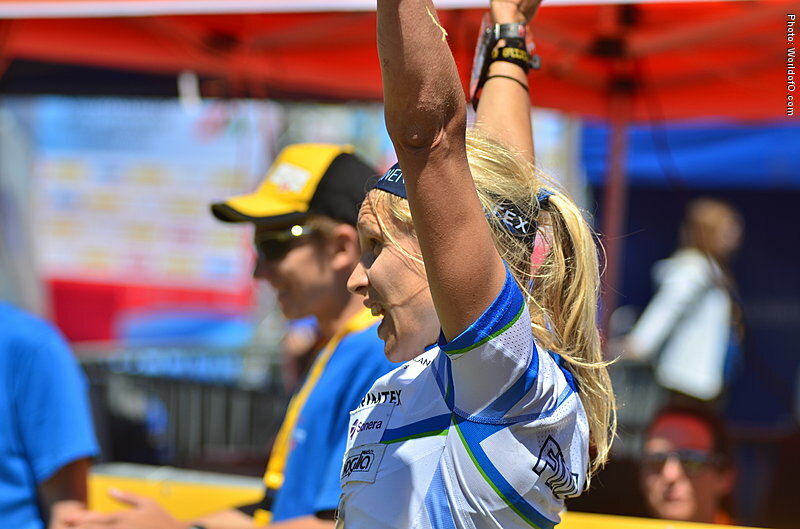 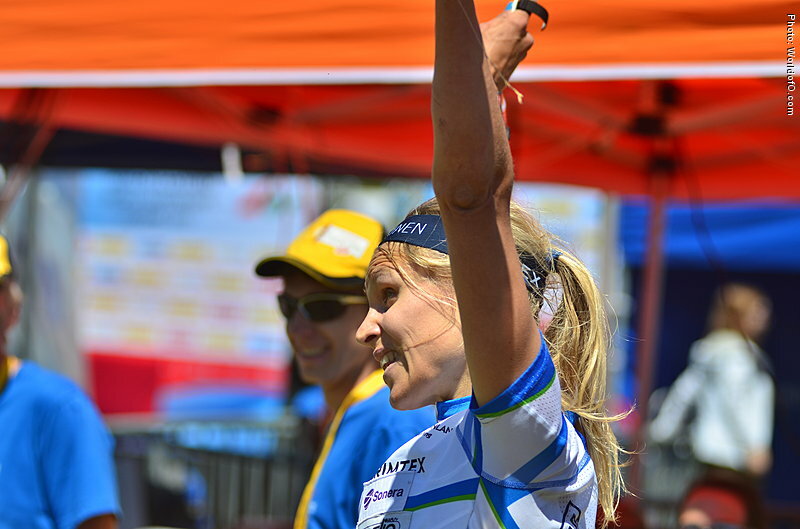 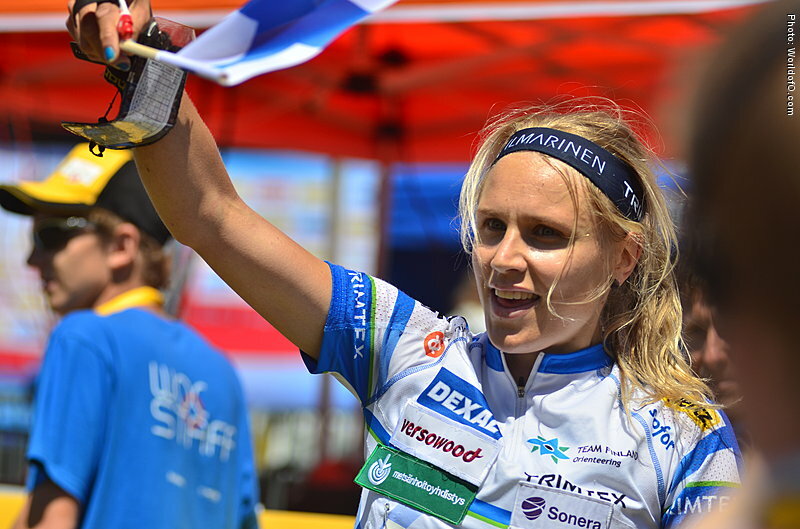 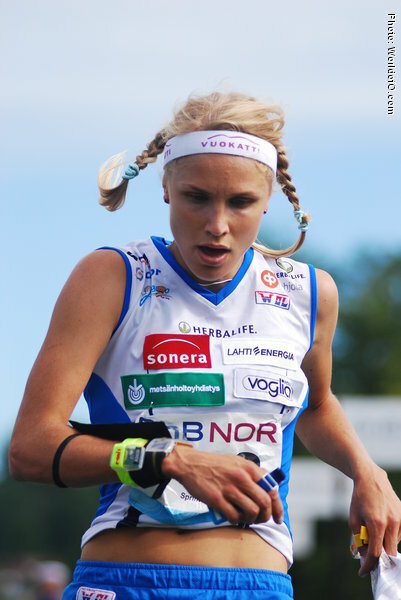 Got her first individual WOC-gold on the long distance in 2007, shared with Heli Jukkola. 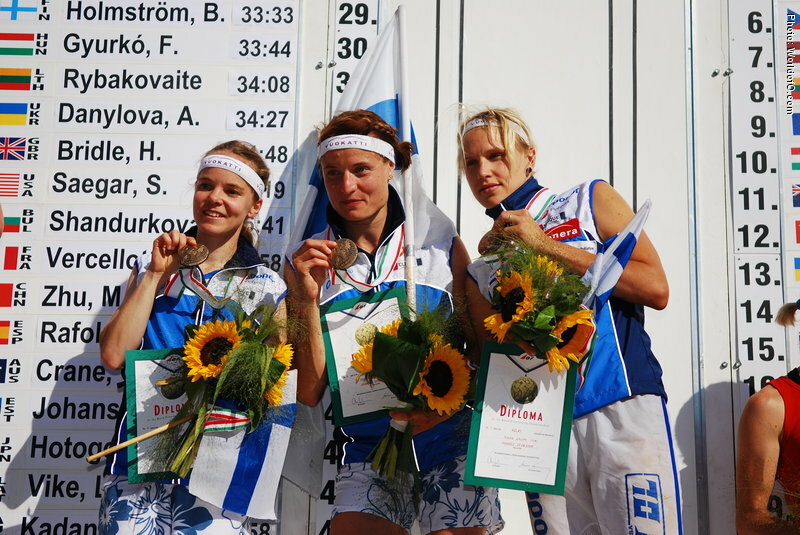 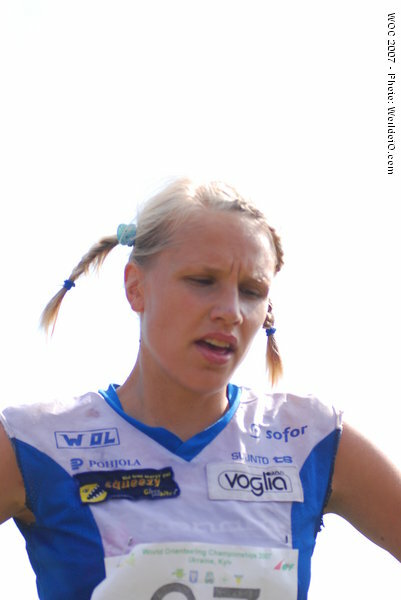 In 2008 she got two more golds, winning middle from an early start number, and with the Finnish relay team. 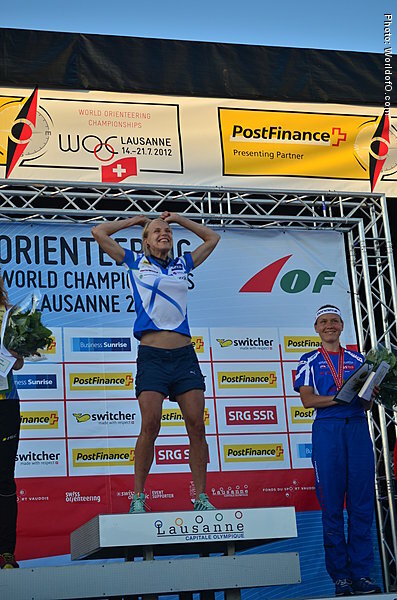 In 2009 she won three out of the four first WC-races and the World Games sprint, but did not manage to match those results at WOC. 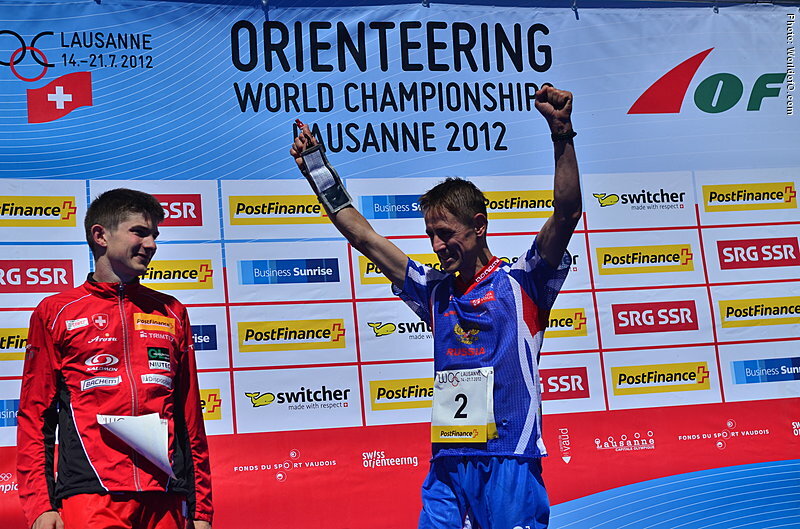 Back on the top in WOC in Norway in 2010 with gold on Middle and Relay. 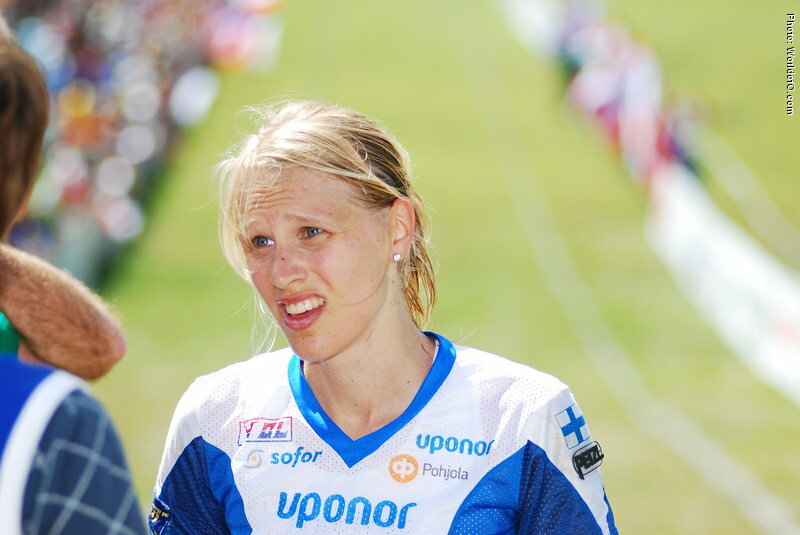 No individual WOC gold in 2011 after illness in the spring - instead got a lot of attention for her extreme mistake on the first control on WOC long distance - abandoning the race. 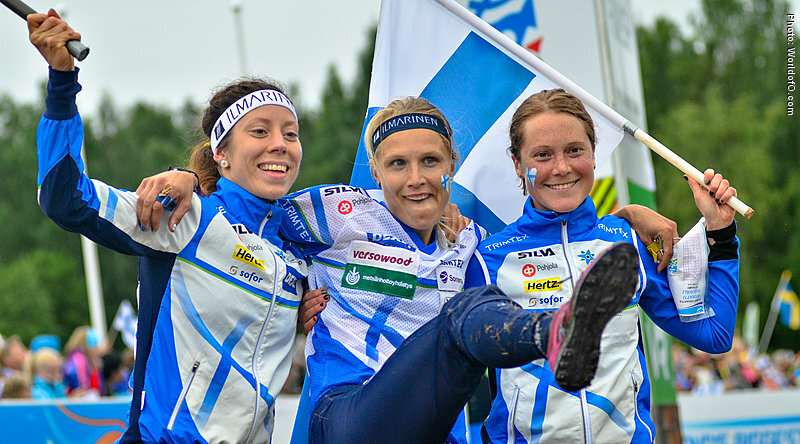 But celebrated at the banquet anyway - after securing gold for Finland in the relay after a dramatic last leg. 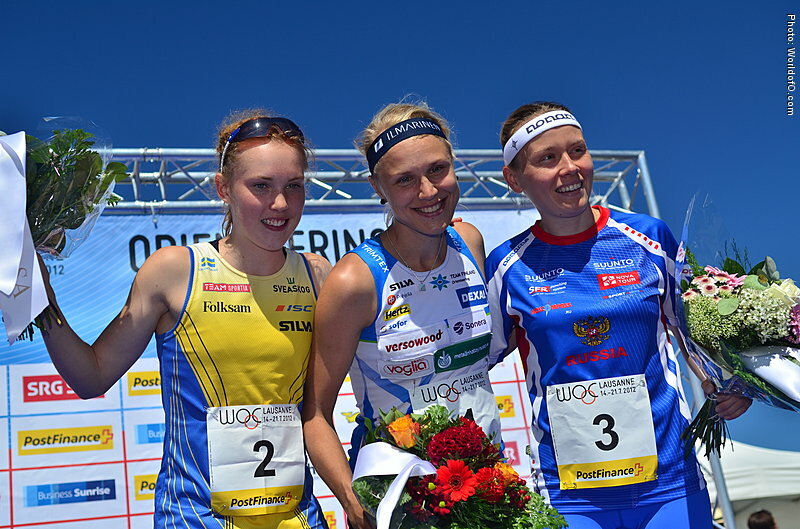 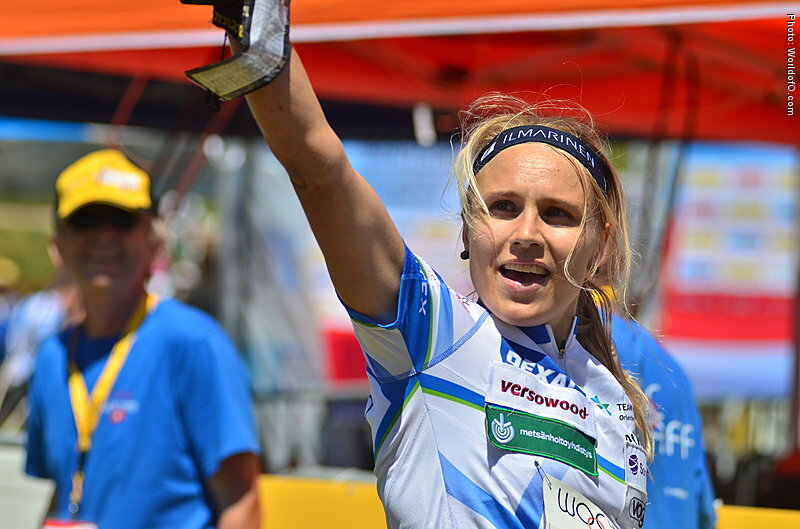 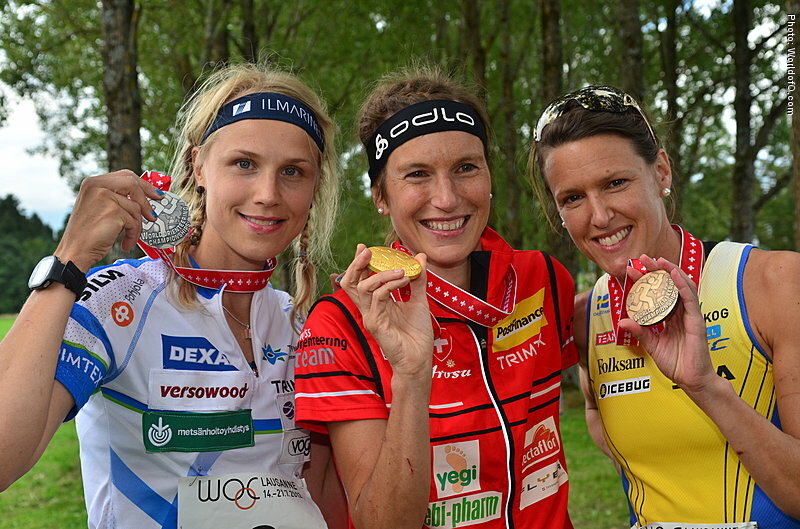 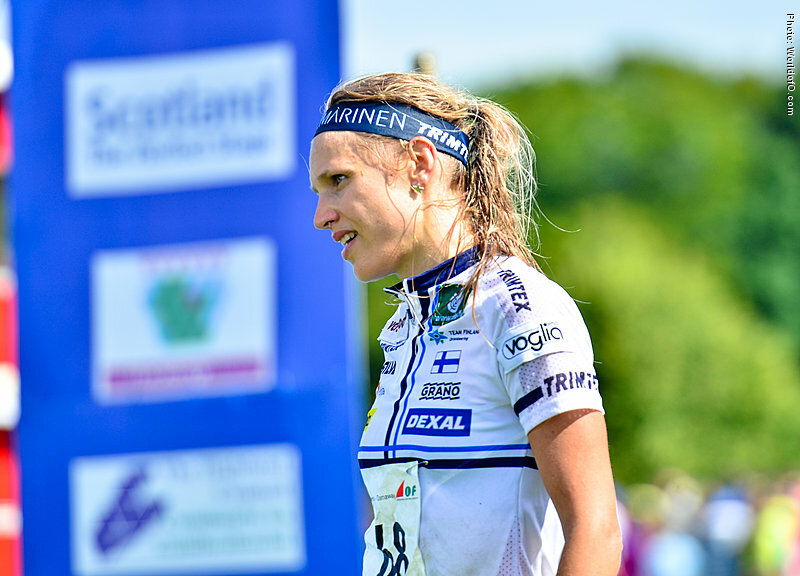 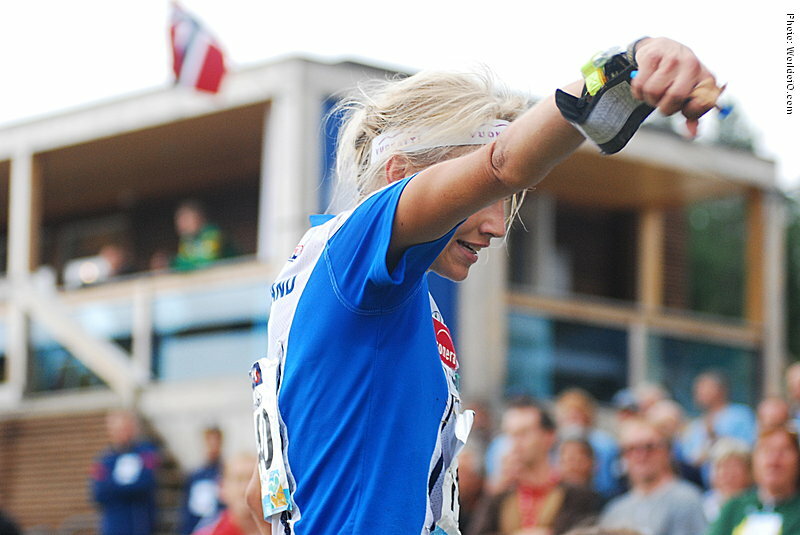 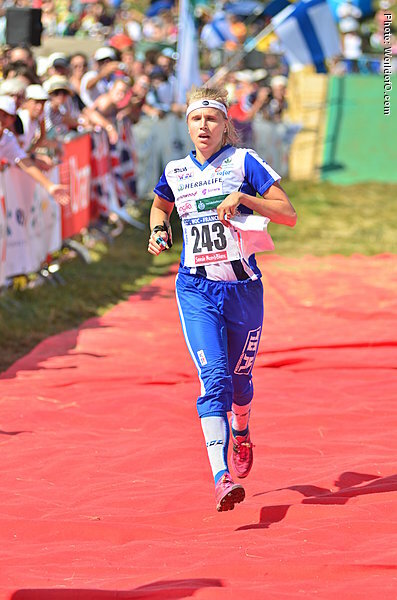 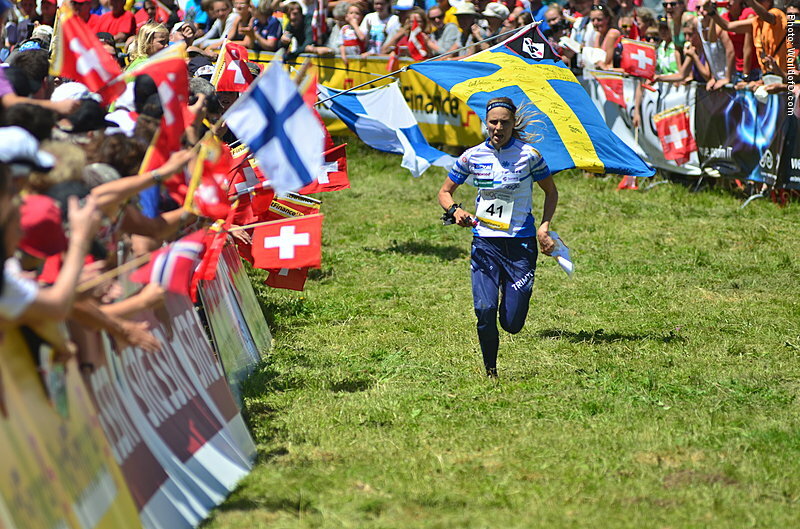 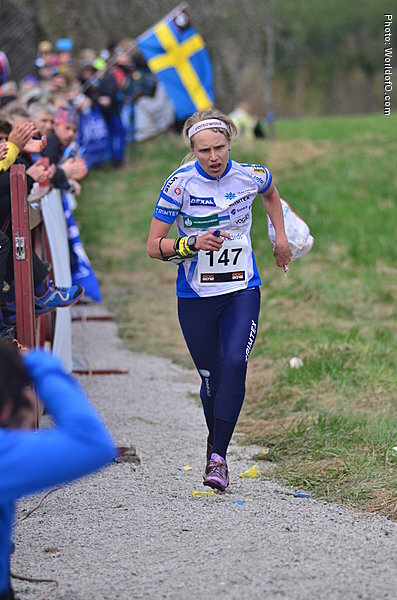 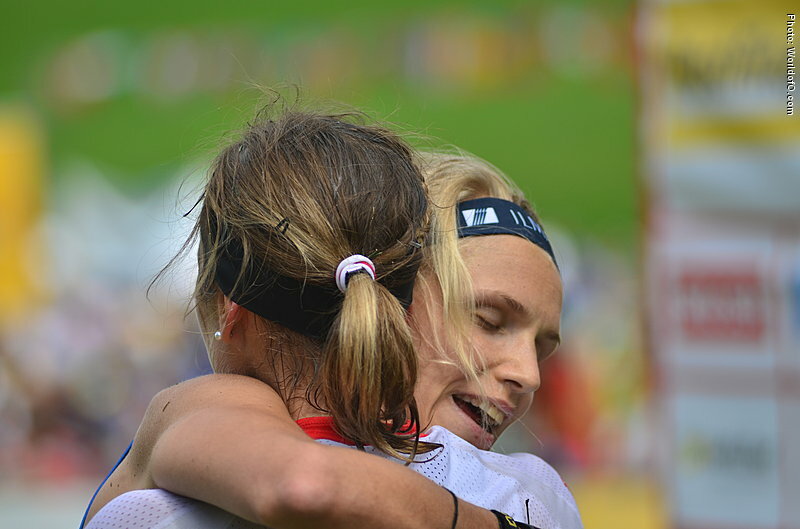 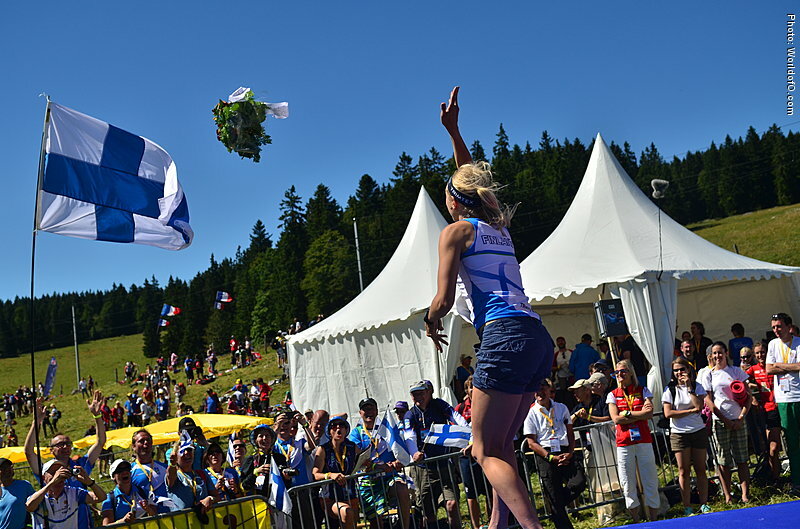 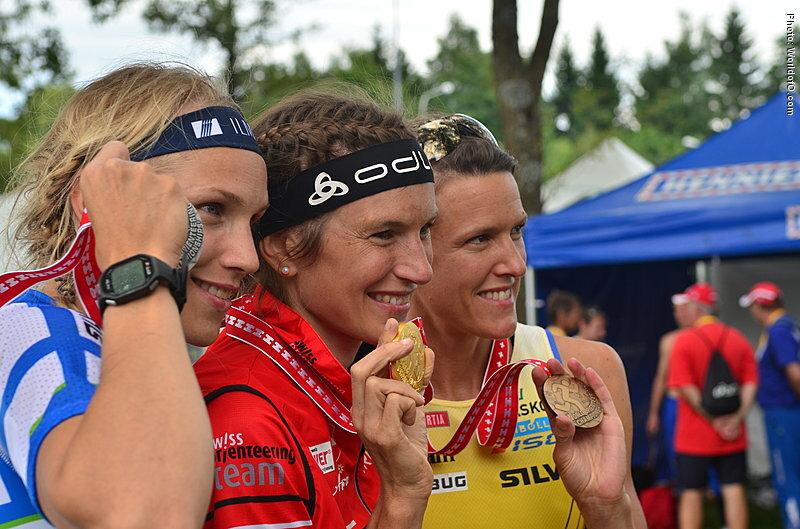 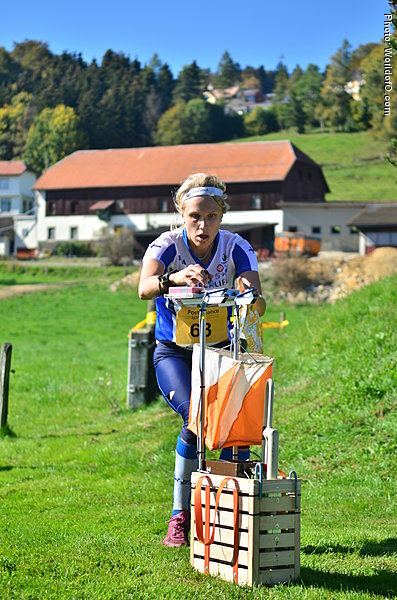 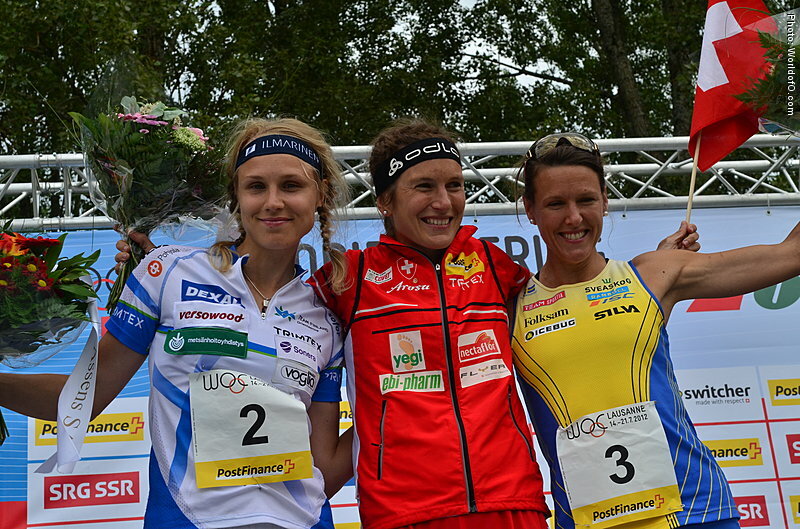 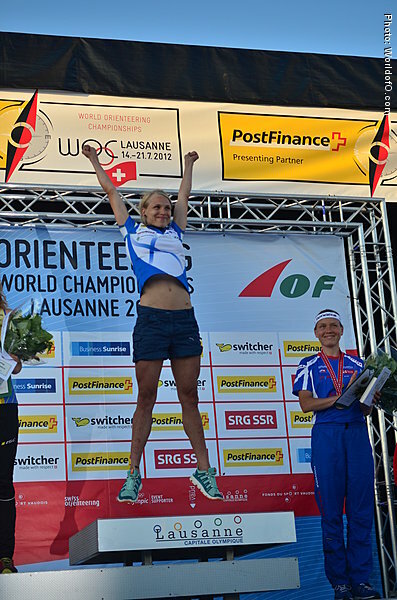 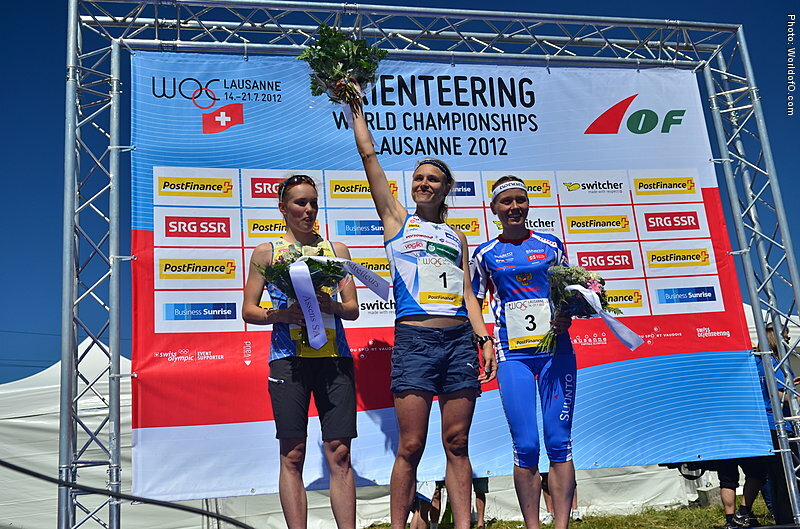 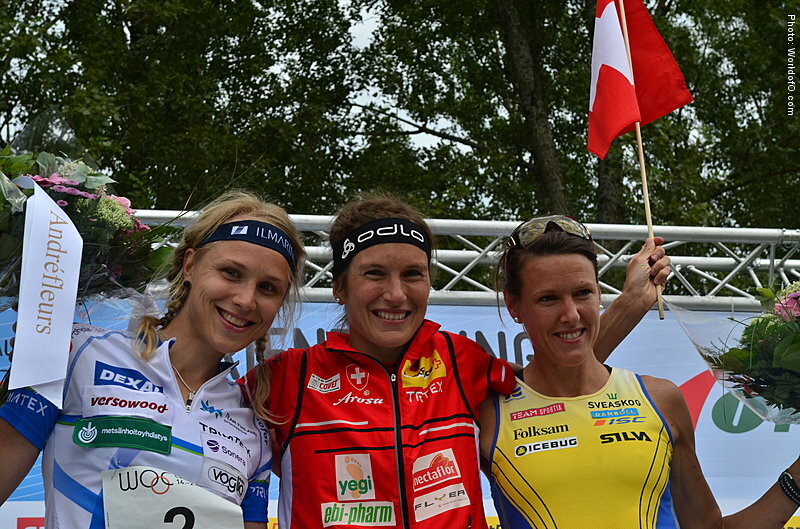 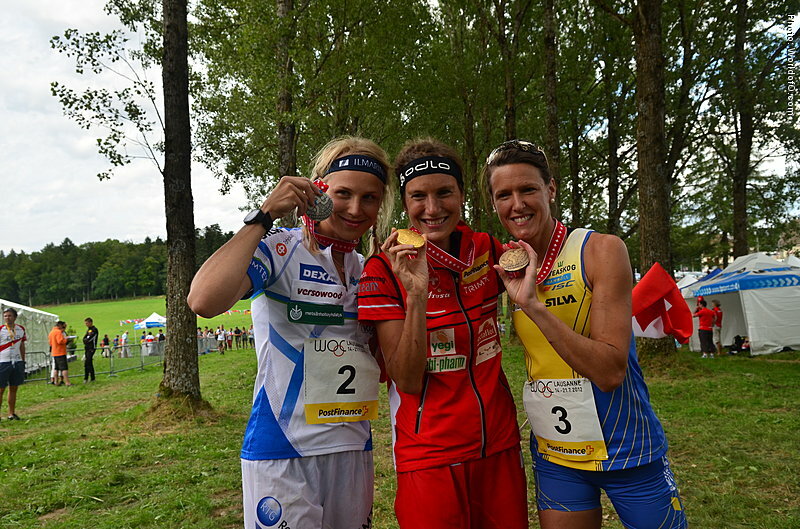 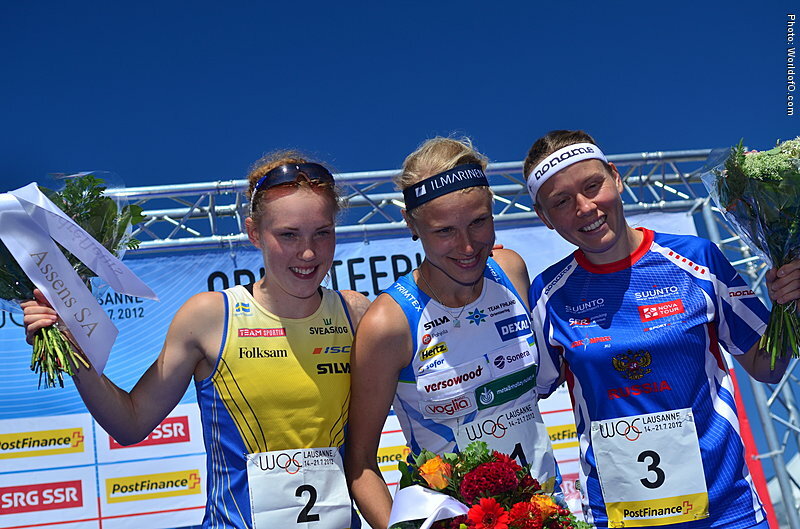 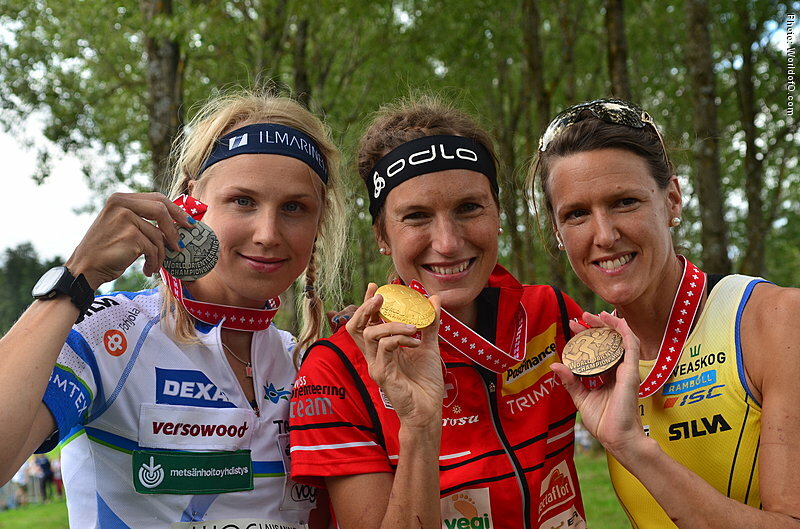 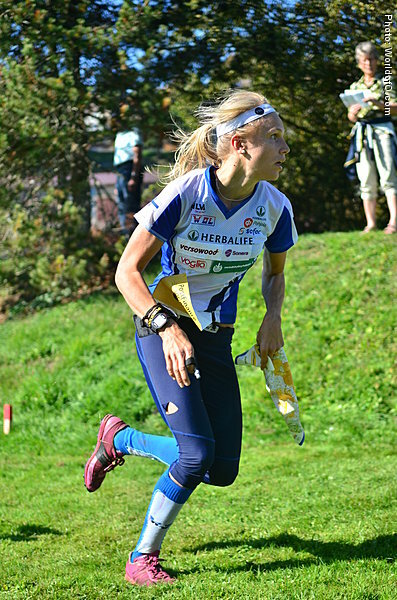 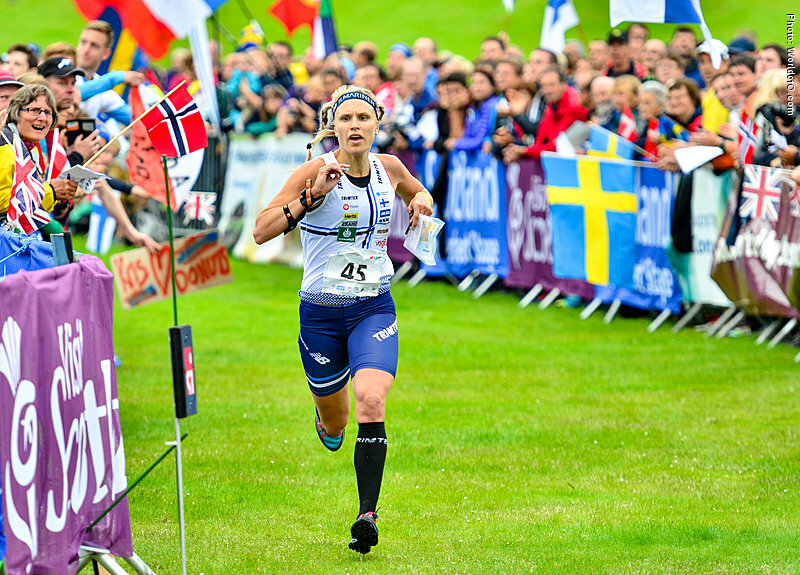 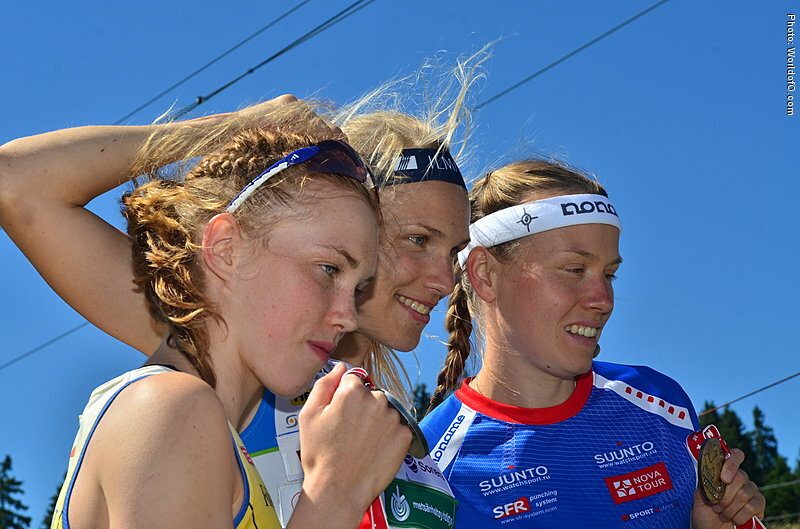 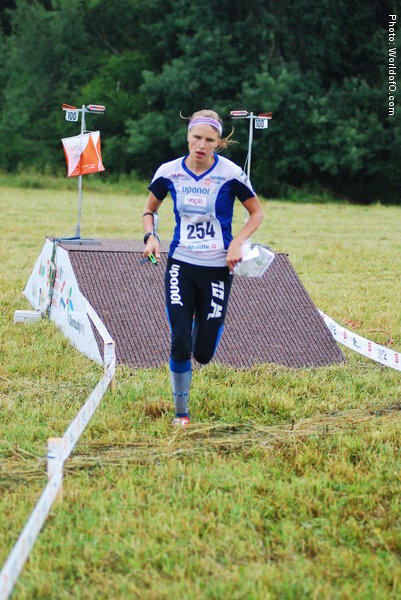 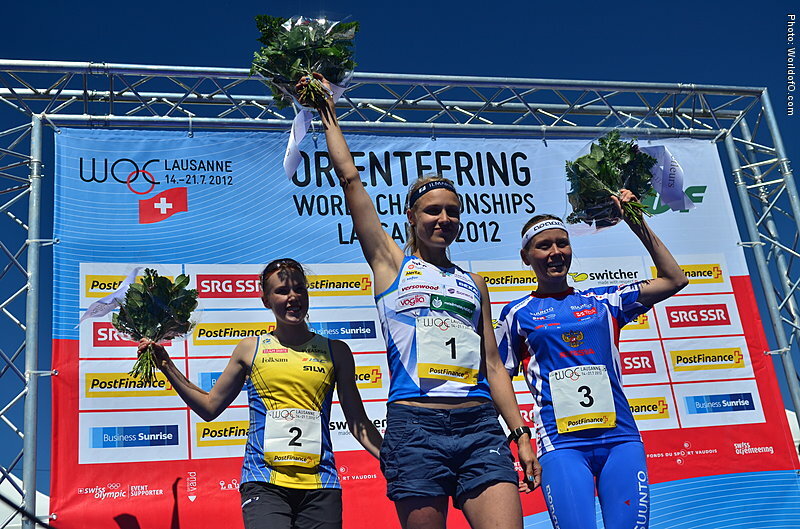 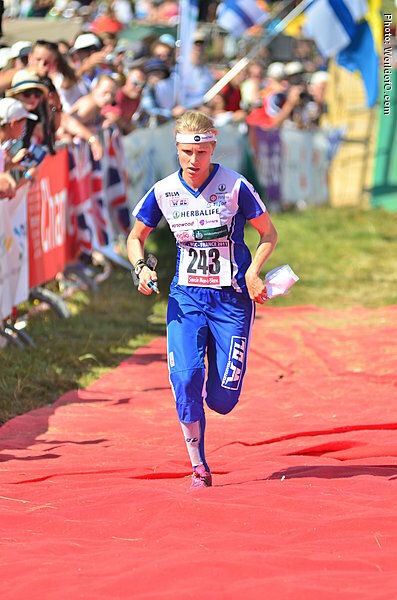 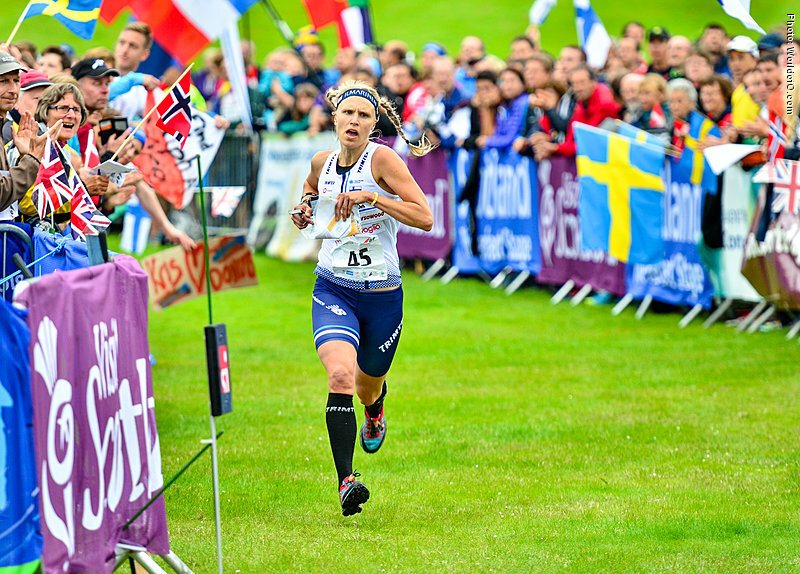 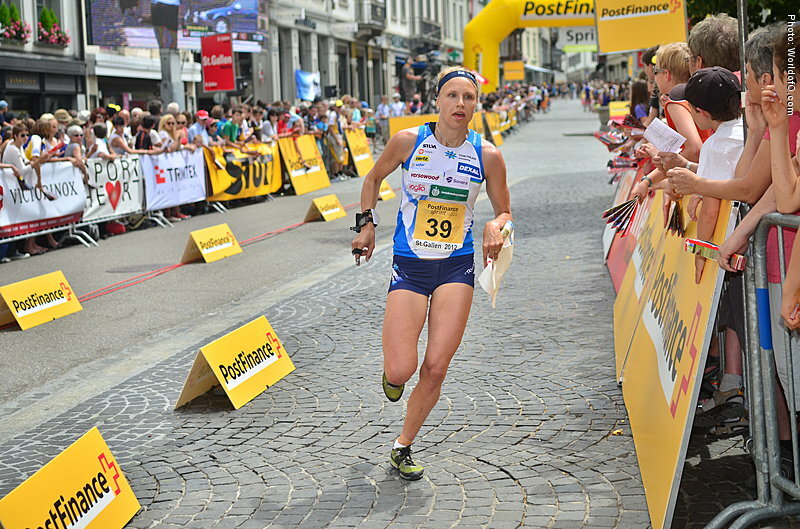 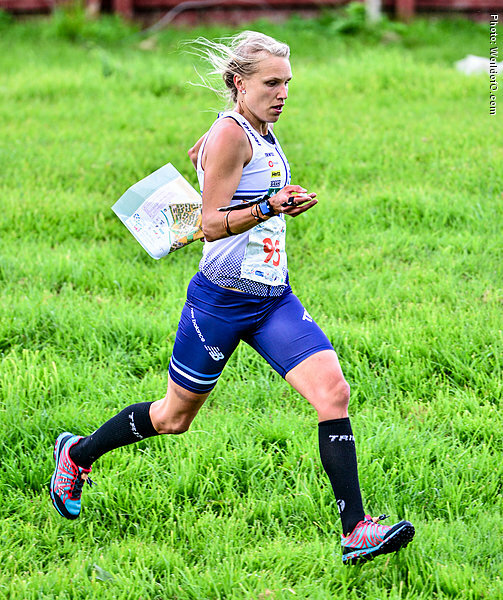 In Switzerland in 2012 Kauppi got another individual WOC gold medal - again on the middle distance. 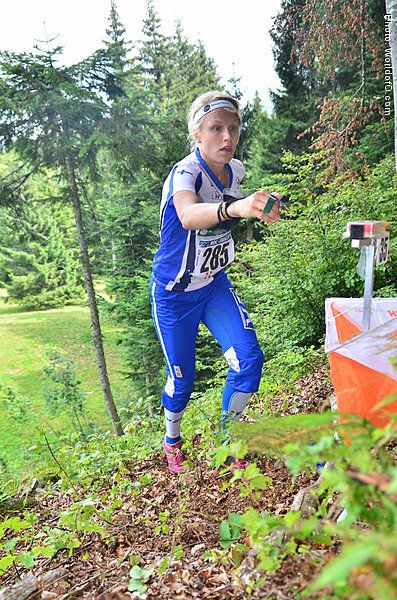 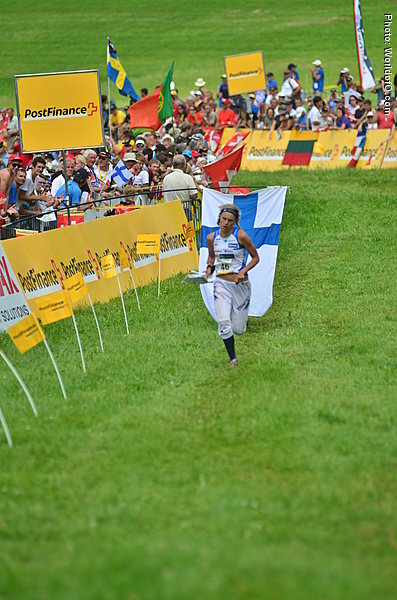 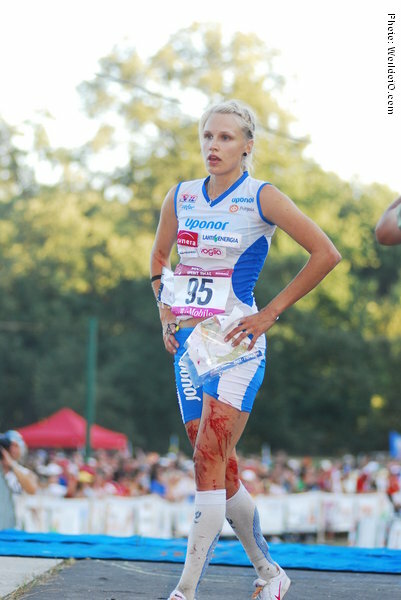 This time another of the big stars in orienteering - Simone Niggli - was the one to make a big mistake. 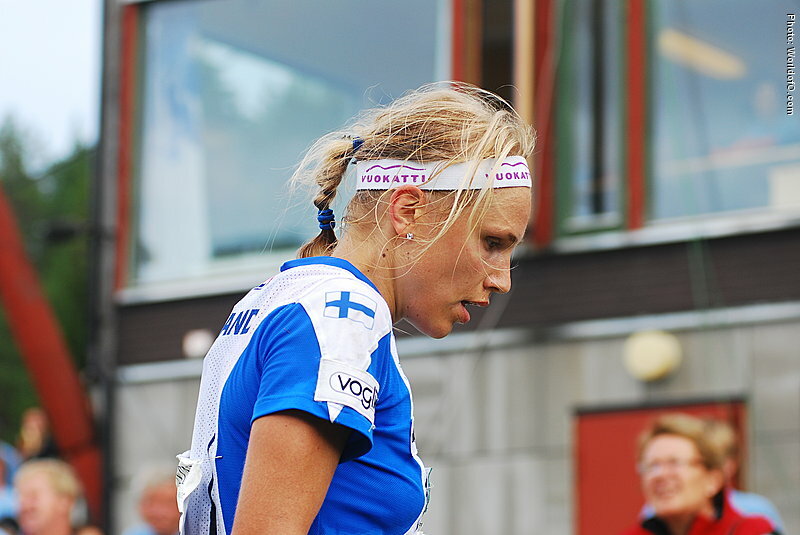 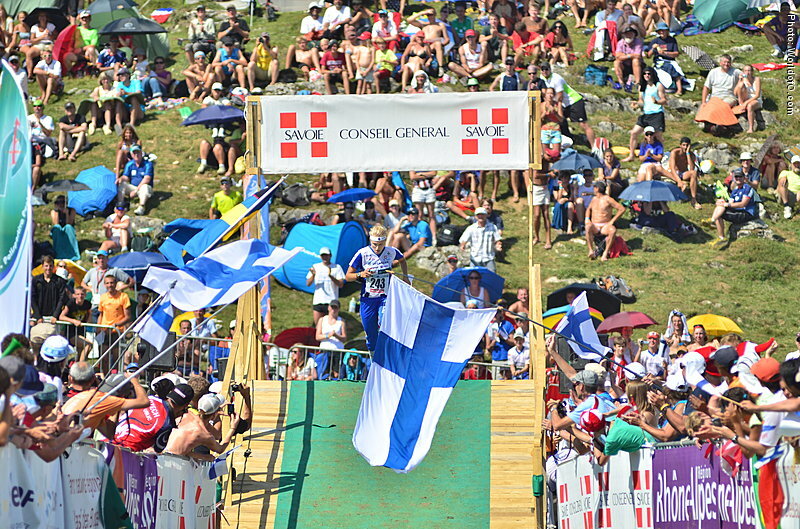 In Finland in 2013 the pressure was maybe too high - Kauppi had to go without the gold medal here. 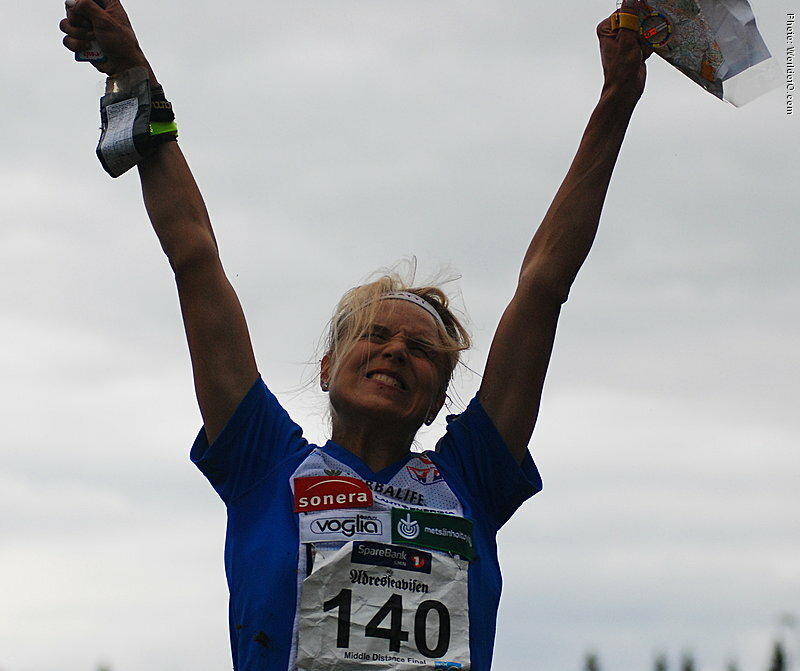 Winner of the Orienteering Achievement of the year in 2008 for winning Gold at both WOC middle and relay, and silver at the WOC sprint - thus becoming the Queen of the World Orienteering Champs in Olomouc - on top when it really counts! 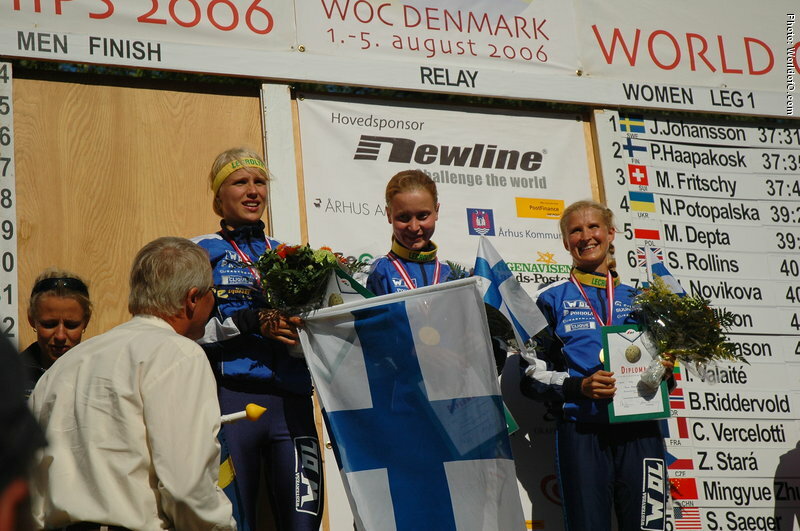 Nominated for the Orienteering Achievement of 2006 for as anchor bringing Finland to gold medals in Relays both at the World Championships and European Championships. 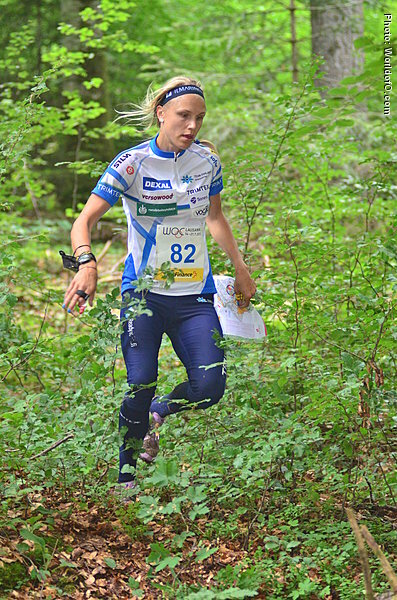 Minna-Mari Kauppi (1 times) Minna Kauppi (229 times) .